Abstract: This paper is concerned with the problem of designing and verifying internet working protocol converters on the basis of timed Petri nets. The Petri net protocol conversion designated between the Mobile Internet working Protocol (Mobile IP) and the Wireless Asynchronous Transfer Mode (WATM) protocol is investigated. Due to protocol complexity in this case, we propose a routing arrangement scheme for either protocol and for the intended protocol converter, in order to facilitate the derivation of the various traces involved. Petri net-based converter between Mobile IP and WATM protocols is constructed and verified. The converter is verified by simulation to guarantee liveness, safety, and responsiveness. Andrews, G., Ghosh, A., and Muhamed R., 'Fundamentals of WiMAX: Understanding Broadband Wireless Networking,' Prentice Hall, 2007. Arafat, M. A. Gregory and M. M. A. Khan, "Interworking architecture between 3GPP IMS, Mobile IP and WiMAX in OPNET," 2014 2nd International Conference on Electrical, Electronics and System Engineering (ICEESE), Kuala Lumpur, pp. 48-53, 2014. Alnas, I. Awan and D. R. Holton, "Handoff mechanism in Mobile IP," 2009 International Conference on Cyber-Enabled Distributed Computing and Knowledge Discovery, Zhangijajie, pp. 176-179, 2009. Anschuetz, H., HPSim, Petri Net Simulator, Version 1.1, available on: http://www.winpesim.de/default.html, 2011. Kim, D., and Cho, Y., A Lossy Handover Scheme in The Wireless ATM Networks, Proceedings of IEEE, pp. 52-57, 2000. Crazzolara, F. and Winskel, G., Petri Nets with Persistence, Electronic Notes in Theoretical Computer Science (Journal), vol.121, pp. 143-155, 2005. Abstract: The Child Detector Android Application through Smartphone Using Bluetooth Low Energy (BLE) Beacon Technology was developed to prevent the child from getting lost. The researcher mainly utilized beacon and Android application in developing the system. Smartphone with installed application will detect and display the distance of the child, and it will also alert whether the child is going far from the user. The beacon is detected through smartphone’s Bluetooth within 30-meter range proximity, while it is attached to the child. The objective of this study was to determine the effectiveness of the system and satisfaction level of the users. This was tested to Grade One students of one of the private schools in the Philippines were the parents, teachers, and school administrators served as respondents to the conducted survey. Obtained results indicated that the Android application were effective for child detection. Overall, this would be a new security Android application for children. Stroud. (2016, August 21), Beacon [Online]. Available: http://www.webopedia.com/TERM/B/beacon.html. L. G. Cabanban. (2013). “Development of Mobile Learning Using Android Platform” [Online]. Available: http://ijitcs.com/volume%209_No_1/Sadaaki.pdf. Aseniero, A. Buena, D. Carreon, J. De Luna, M. Simangan, and M. B. Apsay, “E-Learning for Programming Languages on Android Devices”, International Journal of Scientific & Technology Research, vol. 2 (9), 2013, pp. 253-255. (2016). “Eddystone: 5 key facts about the new open beacon format from Google” [Online]. Available: https://kontakt.io/blog/what-is-eddystone/. (2016). Eddystone Google Beacon [Online]. Available: https://developers.google.com/beacons/. Abstract: Wireless Sensor Network is a indivisible part of network where it has no infrastructure. In the past, Intrusion detection systems were used to detect intrusions in network effectively. Most of the systems are able to detect intrusions with high false alarm rate. In this paper, we propose a Effective Trust based Intrusion Detection System (ETIDS) for detecting malicious activities and providing authentication as well as data integrity. To achieve this, Cluster based routing is established based on trust vector of neighbor nodes in random topology. Trust based Recommendation and key based authentication protocol is integrated with clock based verification method to identify malicious nodes. Simulation results shows that the ETIDS provides better detection efficiency, packet delivery ratio, low end to end delay, successful certification rate and low overhead than existing schemes. Keywords: WSN, Intrusion Detection System, Data Gathering, Malicious, Mobility, packet delivery ratio, Detection efficiency and delay. T G. Kannan and T. Sree Renga Raja, “Energy efficient distributed cluster head scheduling scheme for two tiered wireless sensor network”, Egyptian Informatics Journal, Vol.16, 2015, pp.167–174. Shivkumar S. Jawaligi, G. S. Biradar, “ Single Mobile Sink Based Energy Efficiency and Fast Data Gathering Protocol for Wireless Sensor Networks”, Wireless Sensor Network, 2017, Vol.9, pp.117-144. Sarmad Rashed and Mujdat Soyturk, “Analyzing the Effects of UAV Mobility Patterns on Data Collection in Wireless Sensor Networks”, Sensors, Vol.413,2017, pp.1-21. Ching-Hsien Hsu; Xiaoming Li; Xuanhua Shi; Ran Zheng. 10th International Conference on Network and Parallel Computing (NPC), Sep 2013, Guiyang, China. Alhasanat, K. Alhasanat and M. Ahmed, “Range based data gathering algorithm with a mobile sink in Wireless Sensor Networks”, International Journal of Wireless & Mobile Networks (IJWMN) Vol. 7, No. 6, December 2015, pp.1-13. Shilpa Mahajan , Jyoteesh Malhotra , Sandeep Sharma, “An energy balanced QoS based cluster head selection strategy for WSN”, Egyptian Informatics Journal, Vol.14, 2014, pp.189-199. Mohamed Benaddy*, Brhim El Habil, Othmane El Meslouhi, Salah-ddine. Krit, “A Mutlipath Routing Algorithm for Wireless Sensor Networks Under Distance and Energy Consumption Constraints for Reliable Data Transmission”, International Journal of Sensors and Sensor Networks, 2017, Vol.5, No.5-1, pp.32-35. Gopi Saminathan Arumugam and Thirumurugan Ponnuchamy, “EE-LEACH: development of energy-efficient LEACH Protocol for data gathering in WSN”, EURASIP Journal on Wireless Communications and Networking, 2015, Vol.76, pp.1-9. Vinotha and Senthil Kumar, “ An Effectual Data Gathering Approach Using Sink Repositioning For WSN”, SSRG International Journal of Electronics and Communication Engineering, 2017, pp.146-153. Saliha Büyükçoraky, Günes Karabulut Kurt, Abbas Yongaçoglu, “An Empirical Study on Gamma Shadow Fading Based Localization”, European Signal Processing Conference, 2017, pp.2778-2782. Dhatchayani and S.Kannan, “Agent Based Efficient Data Gathering Scheme for Wireless Sensor Networks with a Mobile Sink”, International Journal of Emerging Technology in Computer Science & Electronics, Vol.24, Issue 4, 2017, pp.10-15. Ez-Zaidi Asmaa and RAKRAK Said, “Mobility for an Optimal Data Collection in Wireless Sensor Networks”, International Journal of Advanced Computer Science and Applications, Vol. 8, No.7, 2017, pp.353-360. Mariam Alnuaimi, Khaled Shuaib, Klaithem Alnuaimi and Mohammed Abdel-Hafez, “Ferry-Based Data Gathering in Wireless Sensor Networks with Path Selection”, The 6th International Conference on Ambient Systems, Networks and Technologies, 2015, Vol.52, pp.286-293. Rumpa Dasgupta and Seokhoon Yoon, “Energy-Efficient Deadline-Aware Data-Gathering Scheme Using Multiple Mobile Data Collectors”, Sensors, 2017, pp.1-23. Chao Wu, Yuan'an Liu, Fan Wu, Wenhao Fan and Bihua Tang, “Graph-Based Data Gathering Scheme in WSNs With a Mobility-Constrained Mobile Sink”, Special Section on Emerging Trends, Issues, and Challenges in Energy-Efficient Cloud Computing, IEEE Access, Vol.5, 2017, pp.19463-19477. M. Karthik, Nikhil Singh, Eshan Sinha, Bharani S. Anand, Gowreesh S. S.
Abstract: There is an increase in usage of Unmanned Ground Vehicle (UGV) in the field of agriculture, specifically for the purpose of spraying fertilizers and pesticides. However despite existing technologies, no such platform has been created so far which aims to provide rover chemical spraying that can be used in a high risk areas at a low cost for extended periods of time. The principal objective of the present work is to Design and Develop a Unmanned Chemical Spraying Rover, to be able to overcome any kind of obstacle on the agricultural field, and a simple yet indigenous low cost mechanism for precise spraying agricultural enhancers such as fertilizers, pesticides, and insecticides. These primary objectives must be realized in a platform costing lower than similar alternatives in the market. The user can achieve controllable motion and variable flow of the enhancer by a suitable tethered, ground based remote control interface. Objective of the present work also aims to develop a multi-purpose rover machine, which can be used in tortuous terrain, crops and plantations of diverged heights. The Rover is maneuvered with the help of six geared motors each attached to one wheel. The rover’s movement will be controlled using Bluetooth remote control, where the transmitter will be a smart phone. Keywords: Bluetooth Controlled Rover, Fertilizer Spraying Rover, Geared and Servo Motor, Mini-Hydraulic Pump, Rocker Bogie Mechanism, Solid works. Mifune, H., Saitoh, S., Kaneda, T., Tomokiyo, S., Adachi, T., Tanaka, T. and Furudate, T., Tomokiyo White Ant Co Ltd, 1995. Intellectual working robot of self controlling and running. U.S. Patent 5,465,525. Raval, M., Dhandhukia, A. and Mohile, S., Development and Automation of Robot with Spraying Mechanism for Agricultural Applications. Siegwart, R., Lamon, P., Estier, T., Lauria, M. and Piguet, R., 2002. Innovative design for wheeled locomotion in rough terrain. Robotics and Autonomous systems, 40(2-3), pp.151-162. Abstract: In the region of mobile wireless sensor network, getting least energy consumption is a very important research problem. A number of energy proficient protocols have been implemented for static wsn, generally built on a layered design approach, i.e. they are motivated on designing ideal strategies for “single” layer by considering the sensor nodes as static. In proposed paper, we consider a cross-layer design. A new MAC protocol termed MAC-SWITCH is proposed. In this new approach, the communication between MAC and routing layers are fully exploited to achieve energy efficiency for various paradigms of mobile wireless sensor networks. More surely, in the proposed MAC-SWITCH algorithm, routing and data information at the network layer is used by the MAC layer such that it can reduces number of contention for channel and perform protocol switching based upon type of data. The performance of the proposed MAC-SWITCH is evaluated by quantification and simulation. The quantification is done by using gauss lattice point theorem and simulation by using the NS-2 simulator. It has been evident that the proposed MAC-SWITCH outperforms the existing aloha and SMAC protocols in terms of energy efficiency, number of contention, packet transmission and network lifetime. Keywords: MAC, Energy Efficiency, Routing, Wireless Sensor Networks. Changsu Suh, Young-BaeKo, and Dong-Min Son “An Energy Efficient Cross-Layer MAC Protocol for Wireless Sensor Networks”. George E Andrews. 1994. Number theory. Courier Corporation. Demirkol, C. Ersoy, and F. Alagoz, “MAC Protocols for Wireless Sensor Networks: a Survey,” in IEEE Communications Magazine, 2005. Anurag Patro, Suchismita Chinara, Manu Elapila, ” A Dynamic Contention MAC Protocol for Wireless Sensor Networks” Proceedings of the International Conference on High Performance Compilation, Computing and Communications Pages 97-101Kuala Lumpur, Malaysia — March 22 - 24, 2017 ACM New York, NY, USA©2017 ISBN: 978-1-4503-4868-3 doi>1145/3069593.3069604. Mohammed Nazeer, Garimella Rama Murthy” Energy Efficient, Data Centric Routing Algorithm in Mobile Wireless Sensor Nodes (Energy Savings Quantification)”International Journal of Computer Sciences and Engineering, page 127-135, -6, Issue-10, Oct. 2018. Abstract: Internet of Things (IoT) devices starts to spread all over the world. IoT revolution makes the devices smarter and improves the performance of the devices. The devices can now exchange information between each other and distribute data analysis effort between each other or send it to data analysis center. As a prediction from Cisco, the number of IoT devices will be 50 billion IoT device connected together in 2020. This enormous number will make us think about immunity of these IoT devices against the Hardware attacks. We propose in this paper the effect of inserting Hardware Threat in Coordinate Rotation Digital Computer (CORDIC). Methods are presented in this paper to identify Hardware Trojan and its effect on the CORDIC performance. Keywords: Internet-of-Things (IoT), Denial of Service, Side-Channel Analysis,Hardware Attack, CORDIC. Dofe, J. Frey, and Q. Yu, “Hardware security assurance in emerging iot applications,” in Proc. IEEE Int. Symp. Circuits Syst. (ISCAS), May 2016, pp. 2050–2053. Kocher, J. Jaffe, and B. Jun, “Differential Power Analysis,” in Proc. Crypto’99, pp.388-397, 1999. .
Brier, C. Clavier, and F. Olivier, “Correlation power analysis with a leakage model,” in Proc. Lecture Notes in Computer Science, vol. 3156, pp. 16–29. Springer, Berlin, 2004. T. Becker, F. Regazzoni, C. Paar, and W. P. Burleson, “Stealthy dopant-level hardware Trojans,” Proceedings of the 15th Internatinal Conference on Cryptographic Hardware and Embedded Systems (CHES) 2013, pp. 197-214. Rajendran, , Gavas, E., Jimenez, J., Padman, V. & Karri, R. (2010) Towards a comprehensive and systematic classification of hardware Trojans, in Circuits and Systems (ISCAS), Proceedings of 2010 IEEE International Symposium on, pp. 1871 –1874. Processor and its Application as a Waveform Generator." Indian Journal of Science and Technology 8.19 (2015). Beaumont, Mark, Bradley Hopkins, and Tristan Newby. HardwareTrojans-prevention, detection, countermeasures (a literature review). No. DSTO-TN-1012. Defence Science and Technology Organisation Edinburgh (Australia) Command Control Communications and Intelligence Div., 2011. Abstract: There were several studies, analysis and research projects concerning the performance, practicability and environmental suitableness of using recycled products in highway construction. There are plenty of local waste materials that might be utilized effectively as mineral filler in hot mix asphalt concrete (HMA) rather than traditional limestone dust. The main objective of this study is to explore through an experiment the effect of amount and quality of appending three different unconventional types of mineral filler include waste glass beads (WGB), local loam redbrick dust (LRD) and coal fly ash (CFA) as proposed alternative materials instead of the traditional limestone powder (LSP). for this purpose, a comprehensive laboratory-testing program was performed to determine the effect of different sorts and amounts of those fillers on the engineering and mechanical properties of HMA, and then verify the consequents on design properties and performance of the surface layer of flexible pavement. Based on this investigational program, it is verified that fillers comprise important influence on the properties of HMA mixtures. In addition, inclusion of theses non-conventional fillers could be utilized efficiently in asphalt-concrete mixture as a replacement in terms of stability, deformation and voids characteristics. Keywords: Mineral Filler, Waste Materials, Hot Mixed Asphalt, Flexible Pavement. Puzinauskas VP (1999), Filler in asphalt The Asphalt Institute Research Report 69-2, Lexington, Kentucky. Tunniclif, D. G. (1992). “A Review of Mineral Filler” Proceedings of Asphalt Association of Paving Technologists. v. 31, pp. 118 – 150. Kim, Little and Song, “Mechanistic evaluation of mineral fillers on fatigue resistance and fundamental material characteristics,” TRB Annual Meeting, Paper no. 03-3454, 2003. "Glasphalt utilization dependent upon availability"Roads & Bridges, February 1993. Whiteoak, The Shell Bitumen Handbook, Thomas Telford, London, UK, 1991. Moghadas F, Azarhoosh AR, Hamedi GH. Influence of using nonmaterial to reduce the moisture susceptibility of hot mix asphalt. Constr Build Mater 2012;31:384–8. Kok BV, Yilmaz M. The effects of using lime and styrene–butadiene–styrene on moisture sensitivity resistance of hot mix asphalt. Constr. Build Mater 2009; 23:1999–2006. Abstract: For the security of proposed model of Private Virtual Cloud Infrastructure model, Security Agent technique has been designed to fight against IP-Spoofing based DDoS Attacks. Virtualization Enhancement has been done in Cloud using proposed and designed Security Agent VCPHCF-RTT. Performance Parameters have been analysed after introspection to existing cloud security mechanisms and tried to resolve focussed Research Problem, Issues and Challenges. VCPHCF-RTT improves the efficiency of the probabilistic HCF technique using HCF for virtual intermediate nodes between the Virtual Machines of Client VM and Server VM along with RTT. It helps in reducing the probability of guessing the RTT and VCHCF parameter values at the intermediate virtual routers by the attackers. VCPHCF-RTT technique has been examined to lessen down the probability of random IP spoofed packets correctly, efficiently and effectively. Through this, detection rate of the malicious packets have been improved up to 99% which is 80-85% improved for probabilistic Hop Count Filtering approach and 90% improved for conventional i.e. CHCF approach. It prevents the VM server from the IP spoofed DDoS attacks and it also eradicates the CPU cycles wastage. VCPHCF-RTT focuses on lessening down IP spoofing based attacks. The computation time has been reduced comparatively. Detection rate of malicious packets has been improved tremendously up to 99.7%. Chi-Chun, H. Chun-Chieh, K. Joy, “A Cooperative Intrusion Detection System Framework for Cloud Computing Networks,” IEEE 39th International Conference on Parallel Processing Workshops, pp. 280-284, 2010. Kourai, T.Azumi, S. Chiba, “A Self-Protection mechanism against Stepping Stone Attacks for IaaS Clouds,” IEEE 9th International Conference on Ubiquitous Intelligence and Computing, pp. 539-546, 2012. Shrivastava, R. Sharma, A. Verma, “MAS based Framework to protect Cloud Computing against DDoS Attack,” International Journal of Research in Engineering and Technology, IJRET, vol. 2(12), pp. 36-40, December, 2013. Sheng-Wei, Y. Fang, “Securing KVM – based Cloud Systems via Virtualization Introspection,” IEEE 47th Hawaii International Conference on System Science, pp. 5028-5037, 2014. Kumara M.A., C.D. Jaidhar, “Hypervisor and Virtual Machine Dependent Intrusion Detection and Prevention System for Virtualized Cloud Environment,” 1st International Conference on Telematics and Future Generation Networks, pp. 1-6, 2015. Maheshwari, C. Rama Krishna, M. Sridhar Brahma “Defending Network System against IP Spoofing based Distributed DoS attacks using DPHCF-RTT Packet Filtering Technique,” IEEE International Conference on Issues and Challenges in Intelligent Computing Techniques, KIET, Ghaziabad, India, pp. 211-214, 8th February 2014. Jayashree, K.S. Easwarakumar, V. Anandharaman, K. Aswin, S. Raja Vijay, “A Proactive Statistical Defense Solution for DDOS Attacks in Active Networks,” 1st IEEE International Conference on Emerging Trends in Engineering & Technology, Anna University, Chennai, India, pp. 878-881, 16-18, July, 2008. Sen, “A Robust mechanism for defending distributed denial of service attacks on web servers,” International Journal of Network Security and its Applications, vol. 3 (2), pp. 162-179, March 2011. Wu, R. Zheng, J. Pu, Shibao Sun, “An Adaptive Control Mechanism for Mitigating DDoS Attacks,” IEEE International Conference on Automation and Logistics, Henan University of Science and Technology, Luoyang, China, pp. 1760-1764, 5-7, August, 2009. Wang, C.Jin and K. Shang, “Defense Against Spoofed IP Traffic Using Hop-Count Filtering,” IEEE Transaction on Networking, vol. 15 (1), pp. 40-53, February, 2007. Zhang, J. eng, Z. Qin, M. Zhou, “Detecting the DDoS Attacks Based on SYN proxy and Hop-Count Filter,” IEEE International Conference on Communications, Circuits and Systems, University of Electronic Science and Technology, China, pp. 457-461, 11-13, July, 2007. B. Mopari, S.G. Pukale, M.L. Dhore, "Detection and defense against DDoS attack with IP spoofing," IEEE International Conference on Computing, Communication and Networking, Vishwakarma Institute of Technology, Pune, India, pp. 1-5, 18-20, December, 2008. Mukaddam, I. H. Elhajj, “Hop count variability,” 6th IEEE International Conference on Internet Technology and Secured Transactions, American University of Beirut, Lebanon, pp. 240-244, 11-14, December , 2011. Krishna Kumar, P.K. Kumar, R. Sukanesh, "Hop Count Based Packet Processing Approach to Counter DDoS Attacks," International Conference on Recent Trends in Information, Telecommunication and Computing, PET Engineering College, Thirunelvelli, India, pp. 271-273, 12-13, March, 2010. A Wang, Xia, Li Ming, Li Muhai, "A scheme of distributed hop-count filtering of traffic," International Communication Conference on Wireless Mobile and Computing, 516-521, 7-9 Dec.2009. Abstract: Sentiment analysis is helpful in finding the opinion of writer’s feeling towards a specific topic. Teaching evaluation is a useful tool of assessment for teaching and courses at many universities, colleges and schools. Mostly close-ended questions and open- ended questions are used in teaching evaluation process. This paper used open-ended questions to provide the opinion result for teachers’ effectiveness of teaching and over all course condition. In this paper, teaching sentiment lexicon, Afinn lexicon and Opinion lexicon are used to get the scores of opinion words in feedback comments. The students’ feedback comments are analyzed by using three methods and display the opinion result as positive, negative and neutral class. According to the experimental results, the intensifier words are needed to consider in some feedbacks to get the correct opinion result. The accuracy of Method 1 using teaching sentiment lexicon is better than other two methods. Keywords: Lexicon Based, Opinion Mining, Sentiment Analysis, Students’ Feedback. AFINN word database an affective lexicon by Finn Årup Nielsen, http://www2.imm.dtu.dk/pubdb/views/edoc_download.php/6010/zip/imm6010.zip. Liu “Sentiment analysis and opinion mining”. Synthesis Lectures on Human Language Technologies, May 2012, pp. 1–167. Pong-inwong and W. Songpan (Rungworawut), “TeachingSenti- Lexicon for Automated Sentiment Polarity Definition in Teaching Evaluation”. 10th International Conference on Semantics, Knowledge and Grids (SKG), Beijing: IEEE, 2014, pp. 84 – 91. Finn Arup Nielsen, "A new ANEW: Evaluation of a word list for sentiment analysis in microblogs", ESWC2011 Workshop on Making Sense of Micro posts: March 2011, pp. 93-98. G. Esparza, Alejandro de-Luna, Alberto Ochoa Zezzatti, Alberto Hernandez, Julio Ponce, Marco Alvarez, Edgar Cossio and Jose de Jesus Nava, “A Sentiment Analysis Model to Analyze Students Reviews of Teacher Performance Using Support Vector Machines”, 14th International Conference on Distributed Computing and Artificial Intelligence (DCAI 2017, June, 2017, ), pp. 157-164. Z. Aung and N. N. Myo, “Sentiment Analysis of Students’ Comment Using Lexicon Based Approach”, 16th IEEE/ACIS International Conference on Computer and Information Science (ICIS 2017), May, 2017, pp. 149-154. V. Avanco, M.G.V.Nunes, “Lexicon-based Sentiment Analysis for Reviews of Products in Brazillian Portugues”, 2014 IEEE Brazillian Conference on Intelligent Systems, pp. 277-281, 2014. El-Masri, N. Altrabsheh, H. Mansour, A. Ramsay, “A web-based tool for Arabic sentiment analysis”, 3rd International Conference on Arabic Computational Linguistics, ACLing 2017, November, 2017. Hu and B. Liu, “Mining and summarizing customer reviews,” ACM SIGKDD international conference on Knowledge discovery and data mining, ACM, 2004, pp. 168-177. Taboada, J. Brooke, M. Tofiloski, K. Voll and M. Stede, “Lexicon-based methods for sentiment analysis”, Association for Computational Linguistics, 37(2), 2011, pp. 267-307. Wen, D. Yan and C. P. Rose, “Sentiment Analysis in MOOC Discussion Forums: What does it tell us?”, Proceedings of Educational Data Mining, 2014, pp. 1-8. Altrabsheh, M. Cocea and S. Fallahkhair, “Sentiment analysis: towards a tool for analyzing real-time students feedback”, 2014 IEEE 26th Internationaal Conference on Tools with Artificial Intelligence, 2014, pp.419-423. Kaewyong, A. Sukprasert, N. Salim and F.A. Phang, “The possibility of students’ comments automatic interpret using Lexicon based sentiment analysis to teacher evaluation”, 3rd International Conference on Artificial Intelligence and Computer Science (AICS2015), 2015, pp. 179-189. Rajput, S. Haider and S. Ghani, “Lexicon-Based Sentiment Analysis of Teacher’s Evaluation”, Applied Computational Intelligence and Soft Computing, Hindawi Publishing Corporation, vol. 2016, September 2016. Nasim, Q. Rajput and S. Haider , “Sentiment analysis of student feedback using machine learning and lexicon based approaches”, International Conference on Research and Innovation in Information Systems (ICRIIS), Langkawi, Malaysia, July, 2017. Abstract: Social network sites like Twitter, fb, and Google Hangouts appear like the highest visited sites at the net. They contain a large volume of dependent, semi-dependent and unstructured information about the users and additionally the relationships amongst them. The analysis of such great amount of knowledge could be a difficult issue. huge information forms an easy/straightforward means through that it becomes easy to scale, diversify, and interactively analyze this vast quantity of knowledge that has many billions of rows and columns among the tables. To perform cost-efficient method of such sizable quantity of information, special graph based tools for mining are required so one can definitely shape the social web. A lot of such tools for analysis are accessible with their own alternatives and advantages. Selecting associate degree applicable tool for a selected task is tough to make your mind up. This paper focuses on numerous graphics tools which could be used to extract/analyze a great amount of knowledge. CombeDavid, LargeronChristine, Egyed-ZsigmondEl˝od and GeryMathias, “A comparative study of social network analysis tools”, International Workshop on Web Intelligence and Virtual Enterprises 2 (2010). Huisman, Mark; van Duijn, M.A.J. / Software for social network analysis. Models and methods in social network analysis. ed. / P J Carrington; J Scott; S Wasserman. New York : Cambridge University Press, pg. 270 – 316,2005. Graph and Network Analysis Dr. Derek Greene Clique Research Cluster, University College Dublin, Web Science Doctoral Summer School 2011. Monclar, Rafael Studart, et al. "Using social networks analysis for collaboration and team formation identification." Computer Supported Cooperative Work in Design (CSCWD), 2011 15th International Conference on. IEEE, 2011. AkhtarNadeem, JavedHira, SengarGitanjali, "Analysis of Facebook Social Network", IEEE International Conference on Computational Intelligence and Computer Networks (CICN), Mathura, India, 27-29 September, 2013. Zelenkauskaite, Asta, et al. "Interconnectedness of complex systems of internet of things through social network analysis for disaster management." Intelligent Networking and Collaborative Systems (INCoS), 2012 4th International Conference on. IEEE, 2012. Social Networks Overview: Current Trends and Research Challenges “November 2010 Coordinated by the ―NextMEDIA CSA. Li, Jianfeng, Chen Yan, and Lin Yan. "Research on traffic layout based on social network analysis." Education Technology and Computer (ICETC), 2010 2nd International Conference on.Vol.1, IEEE, 2010. Abstract: The fundamental objective of this paper is to determine the dynamic response of the structure by the influence of stiffness and mass parameters. In this paper, we are presenting time stepping methods to obtain solutions for nonlinear dynamic problems in structural engineering using numerical evaluation. A benchmark structure having three degrees of freedom is considered and analyzed using Newmark’s method for nonlinear system by implementing the El Centro Ground acceleration and time values. The results of the study detail the reduction in displacement of the structure for the arbitrary increase in percentage of the mass and stiffness of the system to obtain the optimum mass and stiffness that can be additional to the damping devices. Keywords: Damper, Displacement, Earthquake, Newmark’s. Fajfar, P. (2000). A nonlinear analysis method for performance-based seismic design. Earthquake spectra, 16(3), 573-592. Deierlein, G. G., Reinhorn, A. M., & Willford, M. R. (2010). Nonlinear structural analysis for seismic design. NEHRP seismic design technical brief, 4, 1-36. Vamvatsikos, D., & Cornell, C. A. (2002). Incremental dynamic analysis. Earthquake Engineering & Structural Dynamics, 31(3), 491-514. Neuenhofer, A., & Filippou, F. C. (1997). Evaluation of nonlinear frame finite-element models. Journal of structural engineering, 123(7), 958-966. Ramlan, R., Brennan, M. J., Mace, B. R., & Kovacic, I. (2010). Potential benefits of a non-linear stiffness in an energy harvesting device. Nonlinear dynamics, 59(4), 545-558. Zhang, N. (1995). Dynamic condensation of mass and stiffness matrices. Journal of Sound and Vibration, 188(4), 601-615. Vamvatsikos, D., & Fragiadakis, M. (2010). Incremental dynamic analysis for estimating seismic performance sensitivity and uncertainty. Earthquake engineering & structural dynamics, 39(2), 141-163. Richardson, M. H. (1977). Derivation of mass, stiffness and damping parameters from experimental modal data. Hewlett Packard Company, Santa Clara Division, 1, 1-6. Flanigan, C. C. (1998, February). Model reduction using Guyan, IRS, and dynamic methods. In proceedings-spie the international society for optical engineering (Vol. 1, pp. 172-176). Bao, Y., & Kunnath, S. K. (2010). Simplified progressive collapse simulation of RC frame–wall structures. Engineering Structures, 32(10), 3153-3162. Kidder, R. L. (1973). Reduction of structural frequency equations. AIAA journal, 11(6), 892-892. Aschheim, M. (2002). Seismic design based on the yield displacement. Earthquake spectra, 18(4), 581-600. Ramsey, K. A. (1975). Effective measurements for structural dynamics testing. Sound and Vibration, 9(11), 24-34. Aschheim, M., Tjhin, T., Comartin, C., Hamburger, R., & Inel, M. (2004). The scaled nonlinear dynamic procedure. In Structures 2004: Building on the Past, Securing the Future (pp. 1-8). Kalkan, E., & Kunnath, S. K. (2007). Assessment of current nonlinear static procedures for seismic evaluation of buildings. Engineering Structures, 29(3), 305-316. Yoshida, O., & Dyke, S. J. (2004). Seismic control of a nonlinear benchmark building using smart dampers. Journal of engineering mechanics, 130(4), 386-392. Abstract: The diesel engine of a high-power generator is equipped with two turbochargers. These are mounted on the gas exhaust above the diesel engine. Most investigative studies on vibration analysis of diesel power generators typically focused on the main bearing line in the diesel engine, on alternator rotor . Turbochargers, however, play a very important role in the working of diesel engine. This article reports a study on the turbochargers of high-power diesel generator. A diesel engine and its turbochargers do not bear the same mechanic loads. While the diesel engine is the seat of violent shocks brought about by explosions in cylinders, the turbochargers are driven by the action of exhaust gas from explosions, without being affected by explosion shocks. Despite its limitations in diesel engine diagnosis, FFT method is adequate for a correct diagnosis of turbochargers. As a result, following several campaigns of measurements we experimentally defined minimal admissible vibration values for turbochargers, and we detected a defect in bearing among the turbochargers tested. Keywords: Diesel generator, FFT method, high-power, turbocharger, vibration. Williams, J. (1996). An overview of misfiring cylinder engine diagnostic techniques based on crankshaft angular velocity measurements. SAE paper n°960039. Abstract: In this paper an associative binary particle swarms optimization (BPSO) for the diagnosis of transformer failure. In this approach transformer oil gas have been considered for the fault diagnosis so that proper functionality of transformer can be enhanced and the efficiency of transformer can be improved. For this dissolve gas analysis (DGA) and IEC standards have been used for weight assignment of different gas ratios. Rule mining have been applied where these standards fails in the weight assignments. Finally based on the rules associates with different gas ratios have been analyzed separately for each clusters. Finally based on BPSO faults have been diagnosed in several iterations. The results clearly indicate that our approach has better fault diagnosis and individual gas associations. Keywords: BPSO, Associations Rules, DGA and IEC Standards. DiGiorgio JB. Dissolved gas analysis of mineral oil insulating fluids. DGA Expert System: A Leader in Quality, Value and Experience. 2005; 1:1-7. Netam G, Yadav A. Fault detection, classification and section identification on distribution network with D-STATCOM using ANN. International Journal of Advanced Technology and Engineering Exploration. 2016 Oct 1; 3(23):150. Sarma DS, Kalyani GN. ANN approach for condition monitoring of power transformers using DGA. In TENCON 2004. 2004 IEEE Region 10 Conference 2004 Nov 21 (Vol. 100, pp. 444-447). IEEE. Mansour AM. Decision tree-based expert system for adverse drug reaction detection using fuzzy logic and genetic algorithm. International Journal of Advanced Computer Research. 2018 May 1; 8(36):110-28. Mohamed MH, Waguih HM. A proposed academic advisor model based on data mining classification techniques. International Journal of Advanced Computer Research. 2018 May 1; 8(36):129-36. Khinchi A, Prasad MP. Control of electronic throttle valve using model predictive control. International Journal of Advanced Technology and Engineering Exploration. 2016 Sep 1; 3(22):118. Quach XH, Hoang TL. Dealing with fuzzy ontology integration problem by using constraint satisfaction problem. International Journal of Advanced Computer Research. 2017 May 1; 7(30):81. Wu S. A PID controller parameter tuning method based on improved PSO. International Journal of Advanced Computer Research. 2018;8(34):41-6. Bhaskar SV. A study on exhaust gas temperature and emission characteristics of a compression ignition engine fueled with transesterified rice bran oil. International Journal of Advanced Technology and Engineering Exploration. 2018; 5(44): 195-200. Elkader SA, Elmogy M, El-Sappagh S, Zaied AN. A framework for chronic kidney disease diagnosis based on case based reasoning. International Journal of Advanced Computer Research. 2018 Mar 1; 8(35):59-71. Lin CH, Wu CH, Huang PZ. Grey clustering analysis for incipient fault diagnosis in oil-immersed transformers. Expert Systems with Applications. 2009 Mar 1; 36(2):1371-9. Da Silva AC, Castro AR, Miranda V. Transformer failure diagnosis by means of fuzzy rules extracted from Kohonen Self-Organizing Map. International Journal of Electrical Power & Energy Systems. 2012 Dec 1; 43(1):1034-42. Sun HC, Huang YC, Huang CM. Fault diagnosis of power transformers using computational intelligence: A review. Energy Procedia. 2012 Jan 1; 14:1226-31. Yu S, Zhao D, Chen W, Hou H. Oil-immersed power transformer internal fault diagnosis research based on probabilistic neural network. Procedia Computer Science. 2016; 83:1327-31. Doostan M, Chowdhury BH. Power distribution system fault cause analysis by using association rule mining. Electric Power Systems Research. 2017; 152:140-7. Bandara DU, Kumara JR, Fernando MA, Kalpage CS. Possibility of blending sesame oil with field aged mineral oil for transformer applications. InIndustrial and Information Systems (ICIIS), 2017 IEEE International Conference on 2017 (pp. 1-4). IEEE. Kalathiripi H, Karmakar S. Fault analysis of oil-filled power transformers using spectroscopy techniques. InDielectric Liquids (ICDL), 2017 IEEE 19th International Conference on 2017 Jun 25 (pp. 1-5). IEEE. Sekar K, Mohanty NK. Data mining-based high impedance fault detection using mathematical morphology. Computers & Electrical Engineering. 2018 Jul 31; 69:129-41. Ayalew Z, Kobayashi K, Matsumoto S, Kato M. Dissolved Gas Analysis (DGA) of Arc Discharge Fault in Transformer Insulation Oils (Ester and Mineral Oils). In 2018 IEEE Electrical Insulation Conference (EIC) 2018 Jun 17 (pp. 150-153). IEEE. Abstract: Now a day social networks generates large volume of data per sec and one of such network is Twitter. Twitter is one of the popular public platforms with an extract of openly express user’s opinion. Our work aims focus on tweets generated in regard to floods and especially the tweets posed by those affected by floods so that we may prioritize objectives in order to facilitate aid and relief to those affected people. This task is accomplish by identifying the needs and requirements of the survivors of these calamities using responses via twitter analysis, these needs and requirements are certain objectives such as provisioning of food, tents for people, etc., all of these objectives can be prioritize based on certain words used by the survivors and transforming into tokens. These token are called as lexical normalization. In this work we analyze the lexical normalization of data generated by twitter by applying various techniques and visualize the investigations as the techniques are applied to process raw data from Twitter. Keywords: Priority, Lexical, Tweets, Floods, Token, Opinion. Brooks, Nick, and W. Neil Adger. "Country level risk measures of climate-related natural disasters and implications for adaptation to climate change Nick Brooks and W. Neil Adger Tyndall Centre for Climate Change." (2013). Datar, Ashlesha, Jenny Liu, Sebastian Linnemayr, and Chad Stecher. "The impact of natural disasters on child health and investments in rural India." Social Science & Medicine 76 (2013): 83-91. Lingad, J., Karimi, S., Yin, J.: Location extraction from disaster-related microblogs. In: Proceedings of the 22nd International World Wide Web Conference Companion, pp. 1017–1020 (2013). Unankard, S., Li, X., Sharaf, M., Zhong, J., Li, X.: Predicting elections from social networks based on sub-event detection and sentiment analysis. In: Benatallah, B., Bestavros, A., Manolopoulos, Y., Vakali, A., Zhang, Y. (eds.) WISE 2014. LNCS, vol. 8787, pp. 1–16. Springer, Heidelberg (2014). doi:10.1007/978-3-319-11746-1 1. Hu and B. Liu, “Mining and Summarizing Customer Reviews,” in Proceedings of the Tenth ACM SIGKDD International Conference on Knowledge Discovery and Data Mining, 2004, pp. 168–177. Sakaki, T., Okazaki, M., Matsuo, Y.: Tweet analysis for real-time event detection and earthquake reporting system development. IEEE Trans. Knowl. Data Eng. 25(4), 919–931 (2013). Ding, B. Liu, and P. S. Yu, “A Holistic Lexicon-based Approach to Opinion Mining,” in Proceedings of the 2008 International Conference on Web Search and Data Mining, 2008, pp. 231–240. Taboada, J. Brooke, M. Tofiloski, K. Voll, and M. Stede, “Lexicon-Based Methods for Sentiment Analysis,” Computational Linguistics, vol. 37, no. 2, pp. 267–307, 2011. Z. Asghar, A. Khan, S. Ahmad, M. Qasim, and I. A. Khan, “Lexicon-enhanced sentiment analysis framework using rule-based classification scheme,” PLOS ONE, vol. 12, no. 2, pp. 1–22, 2017. Jin, Y. Yang, X. Bao and B. Huang, "Combining user-based and global lexicon features for sentiment analysis in twitter," 2016 International Joint Conference on Neural Networks (IJCNN), Vancouver, BC, 2016, pp. 4525-4532. Kamps J., Marx, M., Mokken, R.J.,: Using WordNet to Measure Semantic Orientation of Adjectives. LREC vol. IV (2004) 1115–1118. Abstract: Metadata means data about data which illustrates, traces, and is simple to locate a resource. Metadata has been impacting almost every firm. It has become mandatory for organizations to know the data flow across business processes to take strategic decisions. But, collecting metadata across departments/business processes and putting into a commonality is very difficult by using conventional databases. We need to concentrate on the metadata managing technologies. There are data models that are designed which work on NOSQL database. Envelope pattern in Marklogic provide commonality for the metadata across processes. The data that is gathered across different processes need to be managed in a consistent way. We want to verify metadata management in banking domain. In this paper, we have ingested metadata across multiple departments in banking domain and verified the performance of search results. Keywords: Metadata; Data modeling; Mark logic; envelope pattern. Alink, W. "XIRAF: An XML-IR Approach to Digital Forensics." Master's Thesis,UOT, 2005. Alink, W., et.al. "XIRAF – XML-Based Indexing and Querying for Digital Forensics." Digital Investigation (2006): S50-S58. et.al. “Running (a.k.a. -ing) with Word: Part 4 in a series on MarkLogic Server and Office 2007.” Mark Logic TechBlog. December 18, 2007. http://developer.marklogic.com/smallchanges/2007-12-18.xqy. Simon et.al. "Information Leakage Caused by Hidden Data in Published Documents." IEEE Security and Privacy 2, no. 2 (2004): 23-27. Menoti, David. “Segmentation of Postal Envelopes for Address Block Location: an approach based on feature selection in wavelet space”. January 10, 2003. IEEE 10.1109/ICDAR. S, Decker.”The Semantic Web: the roles of XML and RDF”, IEEE Internet Computing Volume: 4, Issue: 5, Sep/Oct 2000. Aven, Pete. “Excel-ing with XQuery: Part 2 in a series on MarkLogic Server and Office 2007.” Mark Logic TechBlog. December 4, 2007. http://xqzone.marklogic.com/columns/smallchanges/2007-12-04.xqy. Ding, Ying. “The Research on data semantic description framework using RDF/XML”. 2005 First International Conference on Semantics, Knowledge and Grid, 10.1109/SKG.2005.127. Chauha, Hitesh.” Error Handling Framework for Data Lakes”. Caloyannides, Michael A. "Digital 'Evidence' Is Often Evidence of Nothing." In Digital Crime and Forensic Science in Cyberspace, edited by Panagiotis Kanellis, 334-39. Hershey, PA: Idea Group, 2006. Chaski, Carole. "The Keyboard Dilemma and Authorship Identification." In Advances in Digital Forensics III: IFIP International Conference on Digital Forensics, National Center for Forensic Science, Orlando, Florida, January 28-January 31, 2007, edited by Philip Craiger and Sujeet Shenoi. New York, NY: Springer, 2007. Abstract: High rise buildings and offshore structures are usually constructed over foundation which comprises of several number of piles connected together using pile cap. These piles and pile caps frequently are subjected to a mixture of lateral, vertical as well as twisting forces. Conventional method tends to emphasis predominantly on foundation resistance under vertical loading. The piles are essential subjected to horizontal loads along with vertical loads. Resistance to the vertical and the lateral loading is generally provided by base and side friction, pile-soil-pile cap interaction between pile and surrounding soil, position of the pile cap, number of piles and piles arrangement with respect to the loading direction. In this study, the piles are placed in the sand with pile cap i) above the soil surface at a height of 35mm ii) pile cap bottom resting on surface of soil medium iii) pile cap top placed at the surface of soil and iv) pile cap placed below soil surface to a depth of about 35mm. Experimental analysis were carried out for all the above cases under vertical, lateral and combined loading conditions. Parameters like position of the pile cap, quantity of piles and their arrangements were varied and analysed. The test results reveal that the pile cap placed below the soil surface increases lateral resistance capacity of the piles in the range of 56% to 66% compared with pile cap placed above the soil surface under both independent and combined loading conditions in cohesionless soil. K. Chow and C. I. Teh “Pile-Cap-Pile-Group Interaction in Nonhomogeneous Soil”, Journal of Geotechnical Engineering, Vol. 117, No. 11, 1991, pp. 1655-1668. J. Hararika and U.K. Nath, “Finite Element Analysis of Pile-Soil-Cap Interaction under Lateral Load”, Indian Geotechnical Conference, GEOtrendz, 2010, pp. 809-812. Jegatheeswaran and K. Muthukkumaran, “Behavior of Pile due to Combined Loading with Lateral Soil Movement”, International Journal of Geo-Engineering, 2016, pp. 1-10. Karthigeyan, V. V. G. S. T. Ramakrishna and K. Rajagopal, “Numerical Investigation of the Effect of Vertical Load on the Lateral Response of Piles”, Journal of Geotechnical and Geoenvironmental Engineering, Vol. 133, 2007, pp. 512-521. B. Kim, R. J. Brungraber and L. P. Lai, “Pile Cap Soil Interaction from Full-Scale Lateral Load Tests”, Journal of Geotechnical Engineering, ASCE, Vol. 105, No. 5, 1979, pp.643-653. Michael C. McVay, Limin Zhang, Sangjoon Han and Peter Lai, “Experimental and Numerical Study of Laterally Loaded Pile Groups with Pile Caps at Variable Elevations”, Transportation Research Record, 2003, pp. 12-18. L. Mokwa and J. M. Duncan, “Experimental Evaluation of Lateral-Load Resistance of Pile Caps”, International Journal of Geotechnical Engineering, Vol. 27, No. 2, 2001, pp.185-192. L. Mokwa,” Investigation of the Resistance of Pile Caps to Lateral Loading”, Ph. D thesis, Virginia Polytechnic Institute and State University, Blacksburg, USA,1999. K. Nath and P. J. Hazarika, “Lateral Resistance of Pile Cap-An Experimental Investigation”, International Journal of Geotechnical Engineering, Vol. 7, No. 3, 2013, pp. 266-272. Narashimha Rao, V. G. S. T. Ramakrishna and M. Babu Rao, “Influence of Rigidity on Laterally Loaded Piles Groups in Marine Clay”, Journal of Geotechnical and Geoenvironmental Engineering, Vol. 124, 1998, pp.5 42-549. G. Polous and E. H. Davis, “Pile foundation analysis and design”, John Wiley & Sons, Inc. New York, 1971. M. Rollins and E. Stenlund, “Laterally loaded pile cap connections”, Revised Final Report, Brigham Young University, Provo, UT, USA. Utpal K. Nath and Palash J. Hazarika, “Study of Pile Cap Lateral Resistance Using Artificial Neural Networks”, International Journal of Computer Applications, Vol. 21, No. 1, 2011, pp. 20-25. Varun Maru and M. G. Vanza, “Lateral Behaviour of Pile Under the Effect of Vertical Load”, Journal of Information, Knowledge and Research in Civil Engineering, Vol. 4, No. 2, 2017, pp. 482-485. Abstract: Insulated Concrete Form (ICF) is a promising construction technique that provides fast construction, energy efficient, cost effective, sound proof and disaster resistant building. ICF is made from expanded polystyrene (EPS) and reinforced concrete. EPS occupies permanent position on the surface of concrete wall that offers insulation and structural benefits to the building. In this study, quasi-static cyclic load behavior of ICF wall panels were examined and test results were reported. ICF wall panels were made with 60 mm thick core concrete and 100 mm thick of 12, 20 kg/m3 density EPS provided as a facesheet. The specimens were tested in 100 T capacity loading frame under horizontal quasi-static cyclic load. The experimental results were analyzed with hysteresis loops and load-deflection curves. From the study of cyclic load behavior and literature, ICF wall panel is recommended for the construction of seismic resistant buildings. Ricci, M. Palermo, G. Gasparini, S. Silvestri, and T. Trombetti, “Results of pseudo-static tests with cyclic horizontal load on cast in situ sandwich squat concrete walls,” Eng. Struct., vol. 54, pp. 131–149, 2013. S. Joseph, H. Gladston, and V. Vellapandi, “Development of Link Column Frame System for Seismic Resistance of Reinforced Concrete Structures,” Adv. Civ. Eng. Mater., vol. 7, no. 3, p. 20170106, 2018. A. Mousavi, S. M. Zahrai, and A. Bahrami-Rad, “Quasi-static cyclic tests on super-lightweight EPS concrete shear walls,” Eng. Struct., vol. 65, pp. 62–75, 2014. Dusicka and T. Kay, “Seismic Evaluation of a Green Building Structural System:ICF Grid Walls,” Proc. 2009 Struct. Congr. - Don’t Mess with Struct. Eng. Expand. Our Role, pp. 2475–2481, 2009. Dusicka and T. Kay, “In-Plane Lateral Cyclic Behavior of Insulated Concrete Form Grid Walls,” J. Struct. Eng., vol. 137, no. 10, pp. 1075–1084, 2011. Arun Solomon and G. Hemalatha, “Inspection of properties of Expanded Polystyrene (EPS), Compressive behaviour, bond and analytical examination of Insulated Concrete Form (ICF) blocks using different densities of EPS,” Int. J. Civ. Eng. Technol., vol. 8, no. 1, pp. 209–221, 2017. Abstract: The present study was undertaken to optimize the shear strength of the regular hexagonal, triangle and square lattice structure which can be used in the exterior beam column joint. Here, shear strength and shear stress values are compared to the normal exterior beam column joint which is detailed as per IS13920:2016 and IS456:2000. Optimization of the shape of the unit cell was carried out to obtain maximum shear stress. The optimum shear stress of lattice unit cell is found by varying the thickness and length of lower limit and upper limit. The unit cell of 10mm is taken as a maximum length and the thickness is varied for various shapes. Genetic Algorithm which is a non – traditional optimization is used for optimizing the shear stress. Gibson, L.J, Ashby.M.F, “Cellular Solids: Structure and properties”, second ed., Cambridge University Press, Cambridge, 1997. Evans, A.G, “Lightweight materials and structures”, Materials Research Bulletin 26(2001), 790–797. Pan, Shi-Dong, Lin-Zhi Wu, and Yu-Guo Sun. "Transverse shear modulus and strength of honeycomb cores." Composite Structures4 (2008), 369-374. Kelsey, S, R. A. Gellatly, B. W. Clark, “The shear modulus of foil honeycomb cores: A theoretical and experimental investigation on cores used in sandwich construction”, Aircraft Engineering and Aerospace Technology 10 (1958): 294-302. Masters, I. G., and K. E. Evans. "Models for the elastic deformation of honeycombs." Composite structures4 (1996), 403-422. Sorohan, Ştefan, et al, “Estimation of Out of Plane Shear Moduli For Honeycomb Cores With Modal Finite Element Analyses”,J.Techn Sci,Appl Mechanics, Vol. 61(2016), 71-88. Ingle, R. K., and Sudhir K. Jain. "Explanatory examples for ductile detailing of RC buildings." IITK-GSDMA Project Report on Building Codes, I IT, Kanpur, India, 2005. Young, Warren Clarence, and Richard Gordon Budynas. Roark's formulas for stress and strain. Vol. 7, McGraw-Hill, New York, 2002. Wang, A-J, and D. L. McDowell, “In-plane stiffness and yield strength of periodic metal honeycombs”, Journal of engineering materials and technology2 (2004): 137-156. Cote, François, Vikram Deshpande, and Norman Fleck, “The shear response of metallic square honeycombs." Journal of Mechanics of Materials and Structures7 (2006), 1281-1299. Xie, H., et al, “Study on the out of plane shear properties of super alloy honeycomb core”, 18th Int. Conf. on Composite Materials. Andrews, E.W, et al, “Size effects in ductile cellular solids. Part II: experimental results”, International Journal of Mechanical Sciences3 (2001), 701-713. Ashby, Michael F, and RF Mehl Medalist. “The mechanical properties of cellular solids”, Metallurgical Transactions 9 (1983), 1755-1769. Akbari Alashti, S. A. Latifi Rostami and G. H. Rahimi, “Buckling Analysis of Composite Lattice Cylindrical Shells With Ribs Defects”, IJE Transactions A: Basics Vol. 26, No. 4 (April 2013) 411-420. Indian Standard, IS 456: 2000, Plain and Reinforced Concrete Code of Practice(2000). IS 13920: 2016, Ductile Design and detailing of reinforced concrete structures subjected to seismic forces Code of practice. Amiri GG, Massah SR, Boostan A. “Seismic response of 4-legged self-supporting telecommunication towers”. International Journal of Engineering. 2007 Aug;20(2). Zhang and M.F.Ashby, “The out-of-plane properties of honeycombs”, International Journal of Mechanical Sciences, 34.6(1992), 475-489. D.Pan, L.Z.Wu, Y.G.Sun. “Transverse shear modulus and strength of honeycomb cores”, Composites Structures, 84.4(2008): 369-374. D.Pan, L.Z.Wu, Y.G.Sun, Z.G.Zhou and J.L.Qu, “Longitudinal shear strength and failure process of honeycomb cores”, Composites Structures, 72.1(2006): 42-46. Rastgar, M., and H. Showkati. "Field Study and Evaluation of Buckling Behavior of Cylindrical Steel Tanks with Geometric Imperfections under Uniform External Pressure." International Journal Of Engineering 30, no. 9 (2017): 1309-1318. Abstract: Computational complexity issues are gaining increasing attention as information search, retrieval and extraction techniques and methodologies mature. This paper presents the theoretical approach of computational complexity reduction which supports information related operations in an effective and efficient manner. Three-step approach to design paradigm will have different costs (time), will consume different amount of resource (space) and will have some inherent risk or uncertainty. To capture these aspects, we need economic models of software that take into account costs, space, uncertainty and schedule implications. To address this need for economic decision making, we have proposed a method of economic modeling of information-related operations centered on an analysis of their architecture. Although we consider that the computation problem belongs to the class of np-complete. In this paper, our objective is to solve the real problem by an decision making algorithm that minimizes the computational complexity. Schmidt, “An overview of IP Multicasting” ,Unix Network Programming. Padmini Vellore,Paul Gillard, Ramachandran,Venkatesan, Delivery Analysis of Multicasting in BitTorrent Enabled AdHoc Network (MBEAN) Routing, IWCMC’06, July 3–6, 2006, Vancouver, British Columbia, Canada. Batri, M. Sivaram “Testing the Impact of Odd and Even Point Crossover of Genetic Algorithm Over the Data Fusion in Information Retrieval” Volume 74, Issue Number 4, Pages643-649,European Journal of Scientific Research,2012. Dhivakar B, Saravanan SV, Sivaram M, Krishnan RA. Statistical Score Calculation of Information Retrieval Systems using Data Fusion Technique. Computer Science and Engineering. 2012;2(5):43-5. Abstract: In today's Technological World, Information Security is an essential aspect for the internet applications. Cloud computing is an increasing current class of services for any type of users of the internet. In every modern technology like Cloud, authentication is very serious problem. So, many researchers apply various cryptography techniques to protect the sensitive data in the cloud systems. In this research work proposed on Client-Authentication-Verification Algorithm, Client–One- Time-Password-Authentication Algorithm, and Client - Authentication-Storage Algorithm for security and authentication in the cloud Model. These proposed algorithms have to provide strongest authentication mechanism to a cloud client. These techniques easily fit into any type of service in the cloud system. Keywords: Security, Authentication, Cryptography, Microsoft Azure Cloud. BH Krishna, S Kiran, G Murali, RPK Reddy “Security issues in service model of cloud computing environment” Procedia Computer Science, 2016, published Elsevier page no: 246-251, volume no 87. Yu J, Wang G, Mu Y, Gao W. “An efficient generic frame­work for three-factor authentication with provably secure instantiation” IEEE Transactions on Information Forensics and Security. 2014; 9(12):1–12. Harikrishna Bommala, Dr.S.kiran, RPK Reddy, K.Mani Deep, “Network as a Service Model in Cloud Authentication by HMAC Algorithm” Int. J. Advanced Networking and Applications Volume: 09 Issue: 06 Pages: 3623-3631 (2018) ISSN: 0975-0290. Harikrishna, S. Kiran, R. Pradeep Kumar Reddy, “Protection on sensitive information in cloud Cryptography algorithms”, IEEE digital Library 10.1109/CESYS.2016.7889894. Lee S, Kim TY, Lee HJ. “Mutual authentication scheme for cloud computing” Future Information Communication Technology and Applications. 2013; 235:149–57. Jiang R. “Advanced secure user authentication framework for cloud computing” International Journal of Smart Sens­ing and Intelligent Systems. 2013 Sep; 6(4):1700–24. Harikrishna Bommala, “https://www. scholars- press.com/catalog/details/store/gb/book /978- 620 - 2-30024-7/computer-programming-in-c?search=978-6202300247”published date 2017/8/4. Kataria S, Syal R. “Secure mutual authentication for cloud environment”, International Journal of Computer Science Engineering and Technology. 2015 Jul; 5(7):214–18. Soni P, Sahoo M. Multi-factor authentication security framework in cloud computing. International Journal of Advanced Research in Computer Science and Software En­gineering. 2015 Jan; 5(1):1065–71. Kumar DG, Rajasekaran S, Prabu R. PB verification and authentication for server using multi communication. Indi­an Journal of Science and Technology. 2016 Feb; 9(5):1–6. DOI: 10.17485/ijst/2016/v9i5/87154. Abstract: In this postulation, we proposed a technical review of different strategies that are generally used to evaluate the accuracy of calculations, accuracy and F measure. We briefly discussed the points of interest and detriments of each approach. For grouping errands, we firstly made neighbors of each picture in dataset utilizing KD Tree and afterward bunching them utilizing Approximate Rank Order Clustering. Algorithm and watched and demonstrate a few outcomes relating accuracy, sensitivity, specificity, F-measure and after that used Matthews Correlation Coefficient (MCC). Since MCC is based on the four components formed in confusion matrix it is more accurate to get the overall understanding of any algorithm over some dataset. Keywords: Face Recognition, Face Clustering, Deep Learning, Scalability, Cluster Validity. Otto, D. Wang, and A. K. Jain, “Clustering Millions of Faces by Identity” in IEEE Transactions on Pattern Analysis and Machine Intelligence, Volume 40, Issue 2, 2018. Zhu, F. Wen, and J. Sun, “A rank-order distance based clustering algorithm for face tagging,” in IEEE Computer Vision and Pattern Recognition, 2011, pp. 481–488. Xiang Wu, Ran He, Zhenan Sun, Tieniu Tan, “A Light CNN for Deep Face Representation with Noisy Labels”, in IEEE Transactions on Information Forensics and Security, Volume 13, Issue 11, 2018. 28–28. W. Matthews, "Comparison of the predicted and observed secondary structure of T4 phage lysozyme". Biochimica et Biophysica Acta (BBA) - Protein Structure, 1975, pp. 442–451. M. W. Powers, "Evaluation: From Precision, Recall and F-Measure to ROC, Informedness, Markedness & Correlation", Journal of Machine Learning Technologies, 2011 ,pp 37–63. Chicco, "Ten quick tips for machine learning in computational biology". BioData Mining, December 2017, pp 1–17. B.Huang, M.Ramesh, T.Berg, and E.Learned-Miller, “Labeled faces in the wild: A database for studying face recognition in unconstrained environments,” University of Massachusetts, Amherst, October 2007, Tech. Rep. 07-49. K. Jain, “Data clustering: 50 years beyond k-means,” Pattern Recognition Letters, vol. 31, no. 8, 2010, pp. 651–666. Wang, J. Wang, G. Zeng, Z. Tu, R. Gan, and S. Li, “Scalable k-NN graph construction for visual descriptors,” in IEEE Computer Vision and Pattern Recognition. IEEE, 2012, pp. 1106–1113. F. Schroff, D. Kalenichenko, and J. Philbin, “Facenet: A uniﬁed embedding for face recognition and clustering,” in IEEE Computer Vision and Pattern Recognition, 2015. T. Liu, C. Rosenberg, and H. A. Rowley, “Clustering billions of images with large scale nearest neighbor search,” in Proc. IEEE Winter Conference on Applications of Computer Vision, 2007, pp. 28–28. J. Foo, J. Zobel, and R. Sinha, “Clustering near-duplicate images in large collections,” in Proc. of the International Workshop on Multimedia Information Retrieval. ACM, 2007, pp. 21 -30. J. Chen, H. Fang, and Y. Saad, “Fast approximate k-NN graph construction for high dimensional data via recursive lanczos bisection,” The Journal of Machine Learning Research, vol. 10, pp. 1989–2012, 2009. Silpa-Anan and R. Hartley, “Optimised kd-trees for fast image descriptor matching,” in IEEE Conference on Computer Vision and Pattern Recognition, 2008, pp. 1–8. Yi, Z. Lei, S. Liao, and S. Z. Li, “Learning face representation from scratch,” arXiv preprint arXiv:1411.7923, 2014. Simonyan and A. Zisserman, “Very deep convolutional networks for large-scale image recognition,” arXiv preprint arXiv:1409.1556, 2014. Muja and D. G. Lowe, “Scalable nearest neighbor algorithms for high dimensional data,” IEEE Transactions on Pattern Analysis and Machine Intelligence, vol. 36, 2014. Mythili S , Madhiya E, “An Analysis on Clustering Algorithms in Data Mining”, International Journal of Computer Science and Mobile Computing, Vol. 3, Issue. 1, January 2014, pg.334 – 340. K. Jain and R. C. Dubes,"Algorithms for Clustering Data.". Prentice Hall, 1988. Cao, Q. Yin, X. Tang, and J. Sun, “Face recognition with learning based descriptor,” in Proc. Computer Vision and Pattern Recognition. IEEE, 2010, pp. 2707–2714. Kazemi and J. Sullivan, “One millisecond face alignment with an ensemble of regression trees,” in IEEE Computer Vision and Pattern Recognition, 2014, pp. 1867– 1874. Abstract: In this postulation, presents the clustering of facial images using machine learning algorithm such as nearest neighbor and approximate rank order clustering. Clustering is a technique for classifying similar kind of object based on their trait. Clustering of images is challenging problems and there is still a considerable measure of work that needs to be done in this area. Problems in clustering large dataset is to choose the quantity of clusters and evaluating the obtained clusters. Clustering regard as the most important unsupervised learning as it manages finding a structure in an accumulation of unlabeled information. A loose meaning of clustering could be "the way toward sorting out articles into clusters whose people are nearby one means or another. A cluster in this manner is an accumulation of items which are "comparable" amongst them and are "divergent" to the articles which are place with different cluster. This thesis presents a work to improve clustering method to decrease the number of clusters in a LFW (Labeled face in wild) dataset. Previous work uses kd tree a nearest neighbor method and approximate rank order clustering method to find cluster on LFW dataset. our proposed method implement ball tree a better nearest neighbor algorithm to reduce the number of clusters created by previous method. Charles Otto, Dayong Wang, and Anil K. Jain. Clustering millions of faces by identity. arXiv preprint arXiv:1604.00989 , 2016. Dayong Wang, Charles Otto, and Anil K Jain. Face search at scale. IEEE Trans. on PAMI , 2016. Timo Ahonen, Abdenour Hadid, and Matti Pietikainen. Face description with local binary patterns: Application to face recognition. IEEE Trans. on PAMI , 28(12), 2006. Ting Liu, Charles Rosenberg, and Henry A Rowley. Clustering billions of images with large scale nearest neighbor search. In Proc. WACV, 2007. Duane M. Blackburn, Mike Bone, and Jonathon P. Phillips. Face recognition vendor test 2000: evaluation report. Technical report, DTIC Document http://www.dtic.mil/ dtic/tr/fulltext/u2/a415962.pdf, 2001. Jie Chen, Hawren Fang, and Yousef Saad. Fast approximate k-NN graph construction for high dimensional data via recursive lanczos bisection. The Journal of Machine Learning Research , 10, 2009. Charles Otto, Brendan Klare, and Anil Jain. An efficient approach for clustering face images. In Proc. ICB , 2015. Chanop Silpa-Anan and Richard Hartley. Optimised kd-trees for fast image descriptor matching. In Proc. CVPR , 2008. He, X. Zhang, S. Ren, and J. Sun. Delving deep into rectifiers: Surpassing humanlevel performance on Imagenet classification. arXiv preprint arXiv:1502.01852 , 2015. Vinod Nair and Geoffrey E Hinton. Rectified linear units improve restricted boltzmann machines. In Proc. International Conference on Machine Learning , 2010. Wan, D. Wang, S. Hoi, P. Wu, J. Zhu, Y. Zhang, and J. Li. Deep learning for contentbased image retrieval: A comprehensive study. ACM Multimedia , 2014. Dong Yi, Zhen Lei, Shengcai Liao, and Stan Z Li. Learning face representation from scratch. arXiv preprint arXiv:1411.7923 , 2014.1. Charles Otto, Dayong Wang, and Anil K. Jain. Clustering millions of faces by identity. arXiv preprint arXiv:1604.00989 , 2016. Karen Simonyan and Andrew Zisserman. Very deep convolutional networks for largescale image recognition. arXiv preprint arXiv:1409.1556 , 2014. Vahdat Kazemi and Josephine Sullivan. One millisecond face alignment with an ensemble of regression trees. In Proc. CVPR , 2014. Alex Krizhevsky, Ilya Sutskever, and Geoffrey E Hinton. Imagenet classification with deep convolutional neural networks. In Advances in Neural Information Processing Systems , 2012. Nitish Srivastava, Geoffrey Hinton, Alex Krizhevsky, Ilya Sutskever, and Ruslan Salakhutdinov. Dropout: A simple way to prevent neural networks from overfitting. The Journal of Machine Learning Research, 15(1), 2014. Gary B. Huang, Manu Ramesh, Tamara Berg, and Erik Learned-Miller. Labeled faces in the wild: A database for studying face recognition in unconstrained environments. Technical Report 07-49, University of Massachusetts, Amherst, October 2007. Paul Viola and Michael J Jones. Robust real-time face detection. International Journal of Computer Vision , 57(2), 2004. Anil K Jain. Data clustering: 50 years beyond k-means. Pattern Recognition Letters , 31(8), 2010. Zhu, F. Wen, and J. Sun. A rank-order distance based clustering algorithm for face tagging. In Proc. CVPR , 2011. Marius Muja and David G. Lowe. Scalable nearest neighbor algorithms for high dimensional data. IEEE Trans. on PAMI , 36, 2014. Grother and M. Ngan. Face recognition vendor test (FRVT): Performance of face identification algorithms. NIST Interagency Report 8009 , 2014. Cheng Cheng, Junliang Xing, Youji Feng, Deling Li, and Xiang-Dong Zhou. Bootstrapping joint bayesian model for robust face verification. In Proc. ICB, 2016. Abstract: In Small-scale Food processing units, material handling is taken by manually due to high capital required for an advanced material handling system. These small units are looking a conveyor system which will reduce manpower, space, money, and time for production. In many materials handling equipment’s, belt conveyors are popular. This paper describes a new design and development of adjustable height belt conveyorsystem which works satisfactorily to meet design point of view. It is reliable, compact, adjustable, saves working man-hours and increasing profitability of small units engaged in material handling. These transports are versatile and it tends to be adjusted by the activity and its needA legitimate structuring of the adjustable height belt conveyor will influence its productivity, working, and life expectancyOur current attempt is towards fabricating an economical adjustable belt conveyor material unloaded by adopting the existing simple design procedure. Keywords: Adjustable height, belt conveyor, food processing, Funnel shape hopper. K. Bhoyar, Dr. C.C. Handa,” Design Consideration of Adjustable Height and Radial Belt Conveyor System”, International Journal of Engineering Trends and Technology, Vol. 4, pp.4377-4382, October 2013. R K Bhoyar and C C Handa,” Design Consideration for radial adjustable belt conveyor system”, Journal of Mechanical Engineering & Robotics. Research, Vol. 2, pp.342-347, October 2013. M. Guthrie and J.R. Pilcher,” The design of belt conveyors for bulk sugar handling”proceedings of the south African sugar technologists’, Moreland Technical and Engineering Consultants Ltd, pp.81-90,April 1968. W. Roberts,” Design and application of feeders for the controlled loading of bulk solids onto conveyor belts”,The South African Institute of Materials Handling. M. Mir, Sheikh Idrees and Nadeem Bashir, “Expanding Pitch Type Conveyor Belt for Grading, an Alternative for Walnut Processing Industries”, An International Journal of Research & Innovation,Vol. 2, pp.177-181, June 2015. M El-Gindy. M. A Baiomy, M. M Abdelhamed, and Sahar, A Mosa,” Design and fabrication of a simplified mechanical handling system of rice straw baling operation to reduce environment pollution, Misr Journal of Agricultural Engineering, Vol 26, pp. 667- 685, April 2009. Martin Bohner, Isabel Barfuss, Albert Heindl, Joachim Muller,” Improving the airflow distribution in a multi-belt conveyor dryer for spice plants by modifications based on computational fluid dynamics” biosystems Engineering, Vol. 115, pp.339 -345, May 2013. Daniyan *, A. O. Adeodu and O. M. Dada,” Design of a Material Handling Equipment: Belt Conveyor System for Crushed Limestone Using 3 roll Idlers”, Journal of advancement in engineering and technology, Vol,01, pp.1-7, January 2014. Lu Hong-sheng, “Shell strength of conveyor belt pulleys: theory and design” International Journal of Mechanical Science. Pergamon Press plc,Vol. 30, No. 5, pp. 333-345, 1988. S. Vanamane, P.A. Mane, K. H. Inamdar,” Design and its Verification of Belt Conveyor System used for Cooling of Mould using Belt Comp Software”, International Journal of Applied Research in Mechanical Engineering, Vol.1, 2011. Ramesh, P. Karunaker and L. Ramesh,” Design and Analysis of Discharging of Dust in Pneumatic Conveying System by a Screw Conveyor Shafts “, Advance Research and Innovations in Mechanical, Material Science, Industrial Engineering and Management ,2014. Abstract: Production scheduling of an FMS is formulated as a multi-level integer program. The structure proposed includes machine loading, part input sequence and operation scheduling. Flexible manufacturing system is the better option to meet the effective utilization of resources, for which scheduling is the only solution. A simple numerical problem approach is proposed, and some computational results of simulation are analyzed and an attempt is made in arriving general conclusions. Ulusoy G, and Bilge U, “Simultaneous Scheduling of machines and automated guided vehicles”, International Journal of Production Research, Vol.31, No.12, 1993, pp 2857-2873. Ilkyeong M, and Lee J, “Genetic Algorithm Application to the Job Shop Scheduling Problem with Alternative Routings”, BK21 Logistics Team, Industrial Engineering, Pusan National University, 2000, pp 1-19. Nasr N. and Elsayed E A, "Job Shop Scheduling with Alternative Machines", International Journal of Production Research, Vol. 28, No. 9, 1990, pp 1595-1609. Raman N, Talbolt F B, Rachamadugu R V, “Simultaneous scheduling machines and material handling devices in automated manufacturing”, Proceedings of the second ORSA/TIMS Conference on Flexible Manufacturing Systems, 1986, pp 455-466. Abstract: This paper gives an overview of different digital Image Inpainting techniques used contemporarily for image restoration and enhancement process. Inpainting, dis-occlusion, image completion, retouching and filling-in are different terms for the same task: if an image is given with a missing section, the values in the missing area has to be restored by its values in an undetectable way. The patches are filled in from the neighbouring pixels. Inpainting can be used for removal of objects from an image also. Inapainting techniques are made more sophisticated by applying Neural Network and Fuzzy logic for fast and accurate filling of patches. Keywords: Image Inpainting, Partial Differential Equation, Curvature Driven Diffusion, Examplar- Based, MAP, SOM. Bertalmio, G. Sapiro, C. Ballester ,V. Caselles, “Image Inpainting”. Proceedings of Siggraph, 2000,pp 417- 424. Chan, J. Shen, “Mathematical Models For Local Deterministic Inpaintings”, Technical Report, Cam00-11, IPRG, Ucla, 2000. Zhongyu Xu, Xiaoli Lian, Lili Feng, “Image Inpainting Algorithm Based on Partial Differential Equation”, ISECS, 2008. Bertalmio, A. L. Bertozzi, G. Sapiro, Navier-Stokes, “Fluid Dynamics and Image and Video Inpainting”, IEEE, pp 355 – 362, 2001. D J Florinabel, S E Juliet, Dr. V Sadasivam, “Multi Echelon Gabor Orientation Driven Morphological Inpainting based Recovery of Digitized paintings”, IE(I) Journal – CP, Volume 90, 2009. J. Fadili, J. L. Starck and F. Murtagh, “Inpainting And Zooming Using Sparse Representations”, The Computer Journal Advance Access , 2007. George Papandreou, Petros Maragos, Anil Kokaram, “Image inpainting with a Wavelet Domain Hidden Markov Tree Model”, IEEE,2008, pp 773-776. Marcelo Bertalmio, Stanley Osher, Luminita Vese, Guillermo Sapiro, “Simultaneous Structure and Texture Image Inpainting”, IEEE Transactions on IP, Volume 12, No.8, 2003,pp 0882- 0889. Eftychios, A. Pnevmatikakis and Petros Maragos, “An Inpainting System For Automatic Image Structure – Texture Restoration with Text Removal”. ICIP,2008, pp. 2616 -2619. Xiaowei Shao, Zhengkai Liu, Houqiang Li, “An Image Inpainting Approach Based on the Poisson Equation”, Computer Society IEEE, 2006. Huanfeng Shen and Liangpei Zhang, “A MAP based algorithm for destriping and Inpainting of remotely sensed images”. IEEE Transactions On Geoscience And Remote Sensing, Volume. 47, No. 5, 2009, pp 01492- 01502. Timothy K Shih., Rong Chi Chang, Liang Chen Lu, Wen Chieh Ko, Chun Chia, “Adaptive Digital Image Inpainting”, Computer Society IEEE, 2004. Efros and T. Leung, “Texture Synthesis by non-parametric sampling”, ICCV,1997 , pp 1033-1038. Alexander Wong And Jeff Orchard, “A Nonlocal Means Approach To Exemplar-Based Inpainting”, IEEE ICIP, 2008. Zongben Xu and Jian Sun, “Image Inpainting by Patch propagation Using Patch Sparsity.” Transaction on IP IEEE, Volume 19, Issue 5,2010, pp 1153 – 1165. Jason C. Hung, “Exemplar-Based Image Inpainting Based On Structure Construction”, Journal Of Software, Volume 3, 2008, pp 57-63. Elad, M., Starck, J.-L., Querre, P. and Donoho, D. “Simultaneous cartoon and texture image Inpainting”. ACHA, 2005,pp 340–358. Dong Liu, Xiaoyan Sun, Feng Wu, Shipeng Li, and Ya-Qin Zhang, “Image Compression With Edge-Based Inpainting”, IEEE Trans. On Cir. And Syst For Video Tech., Volume 17, Issue 10,2007, pp. 1273 – 1288. Q Wang, Z Wang, C S Chang, T Yang, “Multilayer Image Inpainting Approach Based on Neural Networks”, 5th ICNC, 2009,pp 459 – 462. Rong –Chi Chang, Nick C Tang, Chia Cheng Chao, “Application of Inpainting Technology to Video Restoration”, IEEE,2008, pp 359 – 364. Haomian Wang, Houquiang Li, Baoxin Li, “Video Inpainting for largely occluded moving Human”, ICME , IEEE, 2007,pp 1719 – 1722. Li and Zheng, “Patch-Based Video Processing: A Variational Bayesian Approach”, IEEE Trans. Circ. Sys. Tech., Volume 19, Issue 1, 2009. Dongwook Cho and Tien D.Bui, “Image Inpainting using Wavelet-based Inter and Intra Scale Dependency”, IEEE, 2008. Zhaozhong Wang and Y F Li, “Watershed-Guided Inpainting for image Magnification”, IEEE, 2008. Abstract: Digital Watermarking with PSO and Fuzzy Logic is an attempt to find suitable locations for inserting watermark bits using PSO and Fuzzy Logic, by looking at the surrounding pixels and adaptively adjusting the pixel intensity values to encode the watermark bits. The result obtained in this technique indicate that following adaptive insertion on the pixels after finding location by PSO is even more effective to obtain better fidelity and robustness. The inverse tradeoff between robustness and fidelity is also demising. Keywords: Digital Watermarking, Fuzzy Logic, PSO, Robustness, Fidelity, Digital Security. Schyndel, A.Tirkel and C.Osborne, “A Digital Watermark” in Proc. IEEE International conference on Image Processing, 1994, vol.2, pp.86-92. Ping Dong, Jovan G.Brankov, Nilolas Palastsanos, Yongyi Yang, Franck Davoine, “Signal Compression Digital Watermarking Robust Geometric Distortions”, IEEE Transaction on image processing, December 2005, vol.14(12). Charkari N.M. and Chahooki M.A.Z., “A Robust High Capacity Watermarking Based on DCT and Spread Spectrum” in IEEE International Symposium of Signal Processing and Information Technology, 2007, pp.194-197. Chu-Hsing Lin, Jung-Chun Liu, Chih-Hsiong ShihandYan- Wei Lee, “A Robust Watermark Scheme for Copyright Protection” in MUE International Conference on Multimedia and Ubiquitous Engineering, 200 pp 132-137. Larijani H.H.and Rad G.R., “A New Spatial Domain Algorithm for Gray Scale Images Watermarking” “ICCCE International conference on computer and communication engineering”, 2008, pp. 157-161. Fredric M.Ham and Ivica Kostanic, “Principles of Neurocomputing for Science & Engineering”, Mc.GrawHill, Singapore, 2001, pp. 136-140. Yu,P.T., Tsai H.H., and Lin J.S., “Digital Watermarking based on Neural Networks for Color Images, Signal processing, vol.81, pp.663-671. R.Hernandez, F.Perez Gonzalez and J.M.Rodriguez, “Data Hiding for Copyright Protection of Still Images”, National conference in image processing, Faislabad,2001. Hwang M.S., Chang C.C. and Hwang K.F.,” Digital Watermarking of Images using Neural Networks”, Journal of electronic imaging, 2000, vol. 9,pp.548-555. , Cruz,D.S. and Larsson M., “JPEG 2000 , the Next Millennium Compression Standard for Still Images” in Proc. IEEE International Conference. R.Hernandez, F.Perez Gonzalez and J.M.Rodriguez, “Data Hiding for Copyright Protection of Still Images”, National conference in image processing, Faislabad, 2017. Abstract: In order to avoid the channel distortion in signal processing recently, RBFNN based equalizers is mentioned. Hit and trail method is the main provocation problem for design of RBFNN Equalizer. Here the initiation is start with use of the population based optimization algorithm trained RBFNN equalizer, such as Shuffled Frog-Leaping Algorithm as well as its modified forms. The observation is made on the basis of its performance as compared to the other equalizers. Keywords: RBFNN, Equalization Technique, SFLA. Burse K., Yadav R. N., and Shrivastava S. C., 2010, Channel Equalization Using Neural Networks: A Review, IEEE Trans. On Systems, man and cybernetics-Part C: Applications and Reviews, Vol. 40, No. 3, pp.352-357. Subramanian K, Savitha R, Suresh M, 2014, A complex-valued neuro-fuzzy inference system and its learning mechanism, Neurocomputing, 123, pp. 110-120. Schilling RJ, Carroll JJ Jr and Al-Ajlouni AF, 2001, Approximation of Nonlinear Systems with Radial Basis Function Neural Networks, IEEE Transactions on Neural Network, Vol. 12, No. 1, pp.1-15. Yavuz, O. and Yildirim, T., 2008, Design of digital filters with bilinear transform using neural networks," 16th IEEE Conference on Signal Processing, Communication and Applications, 1-4. Abstract: The need for office space in urban areas could be considered really high because of the economic activities involved and because of its role in global economic growth. While Jakarta may seem to already possess a lot of office buildings, it turns out that they are not enough to compensate the growing demand for office spaces, with the demand reaching 6,928,500 m2 of rental office space at the end of 2013. Floor cover finishing is a generalized term for the permanent cover of the floor and the works involved. Floor cover itself is a term used to illustrate every finishing materials that would be applied on the floor structure to provide walking surfaces. The goal of this research is to acquire any work items that are viable to be value engineered. The floor cover finishing work is considered as the limitation of this research by the consideration of the said work to be the highest cost contribution to the interior architecture and could be the key factor in defining the image of the company that uses the office building. After the implementation of value engineering, the cost saving reached 12%, reducing the cost contribution of the floor cover finishing work to 4.7% from the initial 5.4%. Keywords: Floor cover finishing, High rise office building, Value Engineering. Si Hwa Bae, Sung Moon Jung (2004). A Study on the Satisfaction with Work Space in High rise Office Building. Rahman, Herawati Zetha. 2013. Integrating Quality Management and Value Management Methods: Creating Value Added for Building Projects. Simanjuntak, M. R. A. (2017). The Analysis of Important Variables of The Value Engineering Model On Residential High Rise Buildings In DKI Jakarta, Indonesia. Shen, Q., & Liu, G. (2003). Critical Success Factors for Value Management Studies in Construction. Mohammed Ali Berawi1, Teuku Yuri M. Zagloel1, Abdur Rohim Boy Berawi1, Yusuf Abdurachman (2015). Feasibility Analysis of Trans-Sumatera Toll Road Using Value Engineering Method. Amanda Cooper and Keith Potts (2015) Implementing Innovation Through Value Engineering Observations on U.K Civil Engineering Constructors. Akoud, H. (1998). Value Engineering For The Practice of Architecture. New Jersey Institute of Technology. SAVE International Value Society (2007). Value Standard and Body of Knowledge. Borza, J. (2011). FAST Diagrams : The Foundation for Creating Effective Function Models. Trizcon 2011, 1–10. Abstract: Engine analysis and optimization is not a new approach to the field of automobiles. It has always been a keen focus in the research of experts domestically as well as internationally, the control of Air-Fuel Ratio (AFR) in transient operating conditions of engine. For the last few decades, the industry and economic expansion of developed countries has showed a clean increase in the vehicle production as well as transport volume. Global warming, acid rain, greenhouse effect and air pollution problems related to emission of CO2, NOx, PM, CO and unburned HC, together with the consumption of fossil fuels, unite to create serious problems at a global level. Therefore it is a research study considering all these current issues and taking it to a new level of optimization for the output of a better efficiency, better economy and less pollution. Performance of Diesel Engine is evaluated by parameters like Power, Torque and Specific Fuel Consumption. K.Chan, C.S.Chin, ”Data Analysis to Predictive Modeling of Marine Engine Performance using Ma-chine Learning”, 2016 IEEE Region 10 Conference (TENCON)-Proceedings of the International Confer-ence, pp. 2076-2080, 2016. Tayarani-N, Mohammad-H and Bennett, Adam Prugel¨ and Xu, Hongming and Yao, Xin, ”Improving the performance of evolutionary engine calibration algo-rithms with principal component analysis”, 2016 IEEE Congress on Evolutionary Computation (CEC), pp. 5128-5137, 2016. Fangxiao, Cheng and Xudong, Liu and Xiaomei, Lin, ”Simulation Study of Optimization of GA for Vehicle Power Train”, 2011 International Conference on Internet Computing & Information Services (ICICIS), pp. 330-333, 2011. Shatnawi, Yousef and Al-Khassaweneh, Mahmood, ”Fault diagnosis in internal combustion engines using extension neural network”, IEEE Transactions on Indus-trial Electronics, vol. 61, no. 3, pp. 1434-1443, 2014. Abstract: With the development of industry, high temperature operation becomes a necessary work. To ensure the safety of the work, the need for thermal insulation of clothing. In this paper, a parabolic differential model is established to analyze the thermal insulation of professional clothing. The optimal thickness of the heat insulation clothing is obtained under different conditions by establishing the finite difference model to solve the differential equation. Hereby，there are some ways to design the performance of heat protective clothing to make sure that the cost is the lowest as possible in the case of effective heat insulation. Keywords: Parabolic differential model, Heat conduction, Simulation model. Artamonov, Vladimir S., Denis M. Gordienko, and Anatoly S. Melikhov. "Fire safety of ground-based space facilities on the spaceport “Vostochny”. ", Acta Astronautica, 135 (2017): 83-91. Ilott, Sarah. "“We are here to speak the unspeakable”: voicing abjection in Raj Kamal Jha’s Fireproof. ", Journal of Postcolonial Writing,6 (2014): 664-674. Todorova, Bogdana. "The new challenges on the Silk Road. ", Journal of Literature and Art Studies,10 (2015): 911-916. Zhu, Yun Pei, et al. "Surface and interface engineering of noble-metal-free electrocatalysts for efficient energy conversion processes. ", Accounts of chemical research4 (2017): 915-923. Vojvodic, Aleksandra, et al. "Exploring the limits: A low-pressure, low-temperature Haber–Bosch process. ", Chemical Physics Letters, 598 (2014): 108-112. Binder, Maximilian, et al. "Automated Manufacturing of Sensor‐Monitored Parts: Enhancement of the laser beam melting process by a completely automated sensor integration. ", Laser Technik Journal, 15.3 (2018): 36-39. Nakata, Shogo, et al. "Wearable, flexible, and multifunctional healthcare device with an ISFET chemical sensor for simultaneous sweat pH and skin temperature monitoring. ", ACS sensors, 2.3 (2017): 443-448. S. Vaishnavi Devi, D. Vignesh D. M.
Abstract: The bus Transport industry has a lion’s share in India’s economic development. Due to easy accessibility, flexibility of operations, door to door service, the bus transportation is a boon to the public. In fact, the progress of a nation and progress of its transport industry is complementary to each other. India has the world's fastest growing economies today, which increased thrust on development of infrastructure in the country to reduce the traffic congestion due to increased traffic demand. Nowadays, various mode of transportation is being used in metro cities such as Chennai, Mumbai, Delhi, etc . Comparing other modes of transportations bus transportation in India supports for the poor and the lower middle class as an easy and affordable mode of transport. The contribution of bus transport in GDP to the nation is of about 1.2% which is 25% of contribution of all the transportation sectors in India . Hence, to use the bus transportation effectively, bus management and depot management is necessary. Madurai is a lotus shaped city built around the Meenakshi temple with the city streets in concentric circles. Madurai is well versed with air transport, rail transport and bus transport network but most of the people use two wheelers and buses for transportation. The city’s bus transportation is contributed by 16 depots totally with five depots in zone I, two depots in zone II, three depots in zone III and six depots in zone IV to spread the bus service throughout the city. This paper, in prior concentrates only on bus transportation, though 70% of Madurai population uses bus transport to migrate. A study of category analysis among the depot in Madurai has described in this paper. Dirk D.L. Van Oudheusden et al.,(2015), “Reducing depot-related costs of large bus operators a case study in Bangkok’’ , European Journal of Operational Research 96 (1996) pp 45-53. A. Forbes, J.N. Holt and A.M. Watts (2016), “An exact algorithm for multiple depot bus scheduling’’, European Journal of Operational Research 72 (1994) pp 115-124. Minzhong Xiang and Shaun Hardcastle (2013) “Bus Priority Option Tests in Microsimulation with SCATS”, Journal of traffic and transportation studies, pp 540-552. D.Srividya, Dr.R.Velkennedy, G.Sathya (2015), “Prioritization of Urban Transport system for Madurai City”, International Journal of Innovative Research in Advanced Engineering (IJIRAE) ISSN: 2349-2163 Issue 1, Volume 2. Ugur Eliiyi, Efendi Nasibov (2012), “Minimization of fuel consumption in city bus transportation: A case study for Izmir”, Procedia-Social and Behaviour Sciences 54 (2012) 231 – 239. Makrand Wagal,Ajit Pratab Singh and Srinivas Arkatkar (2013), “Real –Time Optimal Bus for a City using a DTR Model”, Procedia-Social and Behaviour Sciences 104 (2013)845-854. Mohamed Hamdouni, Francois Soumis, Guy Desaulniers (2007), “ Parking buses in a depot with stochastic arrival times”, European Journal of Operational Research 183 (2007) 502-515. Senthilkumar K., (2007) “A study on risk in traffic flow and effective safety management”, Management sciences. Alagappan V.,(2008) “A study on TNSTC Madurai(DIV-II). Abstract: In this paper, we studied the performance of fiber reinforced concrete (FRC) with steel and polypropylene fibers. Here M 40 grade of concrete reinforced with different percentage of steel and polypropylene fibers was experimentally investigated for the compressive strength and tensile strength of FRC. The percentage variation of steel fiber is taken as 0.5%, 1.0% and 1.5% by volume of concrete for steel fiber reinforced concrete (SFRC). The percentage variation of polypropylene fiber is taken as 0.1%, 0.2% and 0.3% by volume of concrete for polypropylene fiber reinforced concrete (PPFRC).The practical results obtained has been studied and analyzed by comparing it with a control sample specimen (0% fiber). The relationship of compressive strength, tensile strength vs. percentage of fiber, has been represented graphically. Observations clearly shows the significant improvement in 28 and 45 days compressive strength and tensile strength for M 40 grade of concrete on addition of fibers along with enhanced properties of fiber reinforced concrete. Keywords: Compressive Strength, Polypropylene Fibers, Reinforced Concrete, Steel Fibers, Split Tensile Strength. Hamid Pesaran Behbahani, Behzad Nematollahi, Majid Farasatpour, “Steel Fiber Reinforced Concrete: A Review” Conference: Proceedings of the International Conference on Structural Engineering Construction and Management , At Kandy, Sri Lanka, 2011. Milind V. Mohod , “Performance of Steel Fiber Reinforced Concrete” , Journal of Mechanical and Civil Engineering, Vol. 12, Iss.1, PP 28-36, 2015, DOI: 10.9790/1684-12112836. Reeta, Manoj, Karandeep, Mr. Amit Singhal, “Fiber Reinforced Concrete”, Int. Journal of All Research Education and Scientific Methods (IJARESM), Volume 4, Issue 7,pp155-160, 2016. Ragavendra S., Praveen Reddy, Dr. Archanaa Dongre “fiber reinforced concrete- a case studys”. 33rd national Convention of Architectural Engineers and National Seminar on ‘Architectural Engineering Aspect for sustainable building envelopes’ ArchEn-BuildEn-2017, by Institution of Engineers India in Association with Indian Association of structural Engineers, At Institution of Engineers, Khairatabad, Hyderabad. Muhammad Akram Akhund, Abdullah Sannd, Uroosa Memon, Shamotra Jai Oad, “Utilization of Soft Drink Tins as Fiber Reinforcement in concrete”, Engineering science and technology international research journal, vol.1, issu. 2, pp 47-52, 2017. Nitin Kumar, Sangeeta “A Review study on use of Steel Fiber as Reinforcement Material with Concrete”, Journal of Mechanical and Civil Engineering, Volume 12, Issue 4, PP 95-98, 2015, DOI: 10.9790/1684-12439598. R.Pradeep , M.I.Basava, lingana Gowda “A Case Study on Strength Properties of Partially Replaced Recycled Aggregate and Steel Fibers to A Nominal Concrete” Journal of Mechanical and Civil Engineering,Volume 13, Issue 3, PP 52-58, 2016, DOI: 10.9790/1684-1303075258. Hamid Reza Chaboki, Mansour Ghalehnovi, Arash Karimipour, Jorgede Brito,“Experimental study on the flexural behaviour and ductility ratio of steel fibers coarse recycled aggregate concrete beams”, Construction and Building Materials,Volume 186, Pages 400-422, 2018, https://doi.org/10.1016/j.conbuildmat.2018.07.132. B.Varona, F.J.Baeza, D.Bru, S.Ivorra,“Evolution of the bond strength between reinforcing steel and fiber reinforced concrete after high temperature exposure” J. of Construction and Building Materials,Volume 176, 10 July 2018, Pages 359-370, https://doi.org/10.1016/j.conbuildmat.2018.05.065. B. Varona, F. J. Baeza, D.Bru, S. Ivorra, “Influence of high temperature on the mechanical properties of hybrid fiber reinforced normal and high strength concrete”, Construction and Building Materials, Volume 159, Pages 73-82, 20 January 2018. https://doi.org/10.1016/j.conbuildmat.2017.10.129. Priti A. Patel “Improvement of Shear Strength using Triangular Shape fiber in Concrete” , NBM&CW, a civil engg magzine, Aug 2010. Joshua A.McMahon, Anna C. Birely, “Service performance of steel fiber reinforced concrete (SFRC) slabs” Engineering Structures, Volume 168, Pages 58-68, 2018. https://doi.org/10.1016/j.engstruct.2018.04.067. ChandraSekhar Das, Tanish Dey, Ramkrishna Dandapat, Bibhuti Bhusan Mukharjee, Jitendrakumar, “Performance evaluation of polypropylene fiber reinforced recycled aggregate concrete”, Construction and Building Materials, Volume 189, Pages 649-659, 2018, https://doi.org/10.1016/j.conbuildmat.2018.09.036. Ali Mardani Aghabaglou, Suleyman Ozen, and Muhammet Gokhan Altun, “Durability performance and dimensional stability of polypropylene fiber reinforced concrete”, Journal of Green Building, Vol. 13, No. 2, pp. 20-41, 2018. https://doi.org/10.3992/1943-4618.13.2.20. Mohammed S. Imbabi, Collette Carrigan, Sean McKenna, “Trends and developments in green cement and concrete technology”, International Journal of Sustainable Built Environment, vol. 1, pp- 194–216, 2012, DOI: 10.1016/j.ijsbe.2013.05.001. Abdul Ahad, Zishan Raza Khan, Shumank Deep Srivastava, “Application of Steel Fiber in Increasing the Strength, Life-Period and Reducing Overall Cost of Road Construction by Minimizing the Thickness of Pavement” World Journal of Engineering and Technology,vol 3, 240-250, 2015, http://dx.doi.org/10.4236/wjet.2015.34025. Rui D. Neves and Joao C. O. Fernandes de Almeida, “Compressive behaviour of steel fiber reinforced concrete”, structural concrete, pp 1464-4177, 2005. BOOK-fiber Reinforced Cementitious Composites, Second Edition By Arnon Bentur, Sidney Mindess, ch steel fibers, pp 273. Sharath M. Y., Sanjith J., Manjunath H. R. “Experimental Investigation on Steel Fiber Reinforced Concrete” International Journal of Scientific Development and Research,Volume 2, Issue 6, pp-204-210, 2017. BiaoLi,LihuaXu,YuchuanShi,YinChi,QiLiu, ChangingLi , “Effects of fiber type, volume fraction and aspect ratio on the flexural and acoustic emission behaviors of steel fiber reinforced concrete”,Construction and Building Materials, Volume 181, Pages 474-486, 2018. https://doi.org/10.1016/j.conbuildmat.2018.06.065. https://www.seminarsonly.com/Civil_Engineering/Polymer_Modified_Steel_fiber_Reinforced_Concrete.php, Published on Feb 14, 2016. IS 383:1970, Specification for coarse and fine aggregates from natural sources for concrete (second revision), Bureau of Indian standards, New Delhi, India, 1970. IS 456-2000, Code of Practice for Plain and Reinforced Concrete, Bureau of Indian Standards, New Delhi, India, 2000. IS 10262-2009, Recommended Guidelines for Concrete Mix Design, Bureau of Indian Standards, New Delhi, India, 2009. IS: 516-1959, Indian standard methods of tests for strength of concrete, Bureau of Indian Standards, New Delhi, India, 1959. IS 5816-1999, Method of Test for Splitting Tensile Strength of Conc, Bureau of Indian Standards, New Delhi, India, 1999. Abstract: Mineral transformer liquids are used as dielectric liquids from a long time and preferred by power utilities worldwide because of its good physical, mechanical & dielectric properties, ease of accessibility and low cost. But due to environmental constraints, non-biodegradability nature and less fire resistive nature of it proves to be destructive for surroundings as well as to the manpower dealing with it. Number of alternatives were suggested by researchers have been implemented in distribution and power transformers. In current research work, biodegradable modified synthetic ester fluid is proposed as an alternative to mineral transformer oil because of its electrochemical properties such as; dielectric strength, resistivity, flash and fire point, acidity and water content which have been practically analyzed in laboratory. Analysis reveals that ester oil has astounded fire resistive properties and moisture tolerant liquid over mineral oil. Keywords: Oil Insulation, Synthetic Ester (SE), Mineral Oil (MO), Fire Point, Pour Point, Breakdown Voltage (BDV), Water Content. Fofana, I, Wasserberg, V., Borsi, H., and Gockenbach, E., “Challenge of mixed insulating liquids for use in high-voltage transformers. Part 2: Investigations of mixed liquids impregnated paper insulation”, IEEE Electr. Insul. Mag.18 (04) 2002, pp. 5-16. Fernandez, I., Ortiz, A., Delgado, F., Renedo, C. and Perez, S., “Comparative evaluation of alternative fluids for power transformers”, Elect. Power Syst. Res., vol. 98, 2013, pp.58-69. Aggarwal, T., Jindal, V. and Singh, J., “A review of conditioning monitoring assessment of power transformers insulation”, Int. J. Adv. Res, 4 (10), 2016, pp.1664-1674. Kraweic, S., “Review of recent changes to mineral insulating oil specifications” Proc. IEEE Electr. Insul. Conf., 2009, pp. 363-367. Fofana, I., Wasserberg, V., Borsi, H. and Gockenbach, E., “Challenge of mixed insulating liquids for use in high voltage transformers. Part 1: Investigation of mixed liquids”, IEEE Electr. Insul. Mag., 18 (3), 2002, pp. 18–31. Liu, R., Törnkvist, C., Chandramouli, V., Girlanda, O., and Pettersson, L.A.A., “Ester fluids as alternative for mineral oil: the difference in streamer velocity and LI breakdown voltage”, Proc. IEEE Electr. Insul. and Dielectr. Conf., 2009, pp. 543–548. Eberhardt, R., Muhr, H.M., Lick, W., Wieser, B., Schwarz, R. and Pukel, G., “Partial discharge behaviour of an alternative insulating liquid compared to mineral oil”, Proc. IEEE Int. Electr. Insul. Symp., 2010, pp. 1–4. Pukel, G.J., Eberhardt, R., Muhr, H.M., Baumann, F. and Lick, W., “Large power transformers for alternative insulating fluids”, Proc. 16th High Voltage Engineering Symp, 2009, pp.1–4. Oommen, T.V., Claiborne, C.C. and Walsh E.J., “Introduction of a new fully biodegradable dielectric fluid”, Proc. IEEE Tech. Annu. Textile, Fiber and Film Industry Conf., 1998, pp.3/1–3/4. Oommen T.V., “Vegetable oils for liquid-filled transformers”, IEEE Electr. Insul. Mag., 18 (1), 2002, pp. 6–11. Martin, R., Athanassatou, V, et al., “New experiences in service with new insulating liquids”, CIGRE publication. CIGRE WG A2-35. Brochure No. 436. Abeysundara, D.C., Weerakoon, C., Lucas, J.R., Gunatunga, K.A.I. and Obadage, K.C., “Coconut oil as an alternative to transformer oil”, Engg. Res. Unit. Symp., 2001, pp. 1–8. Borsi, H., “Dielectric behaviour of silicone and ester fluids for use in distribution transformer”, IEEE Trans. Dielectr. Electr. Insul., 26 (4), 1991, pp.755–762. Kuwahara, H., Tsuruha, K., Munemura, H. and Ishii, T., “Partial discharge characteristics of silicone liquids, IEEE Trans. Dielectr. Electr. Insul., vol. 11, 1975, pp. 86–91. McShane, C.P, Gauger, G. and Luksich, J., “Fire resistant natural ester dielectric fluid and novel insulation system for its use”, In IEEE/PES Transmission & Distribution Conference, 1999, pp. 1–5. IS: 6792: 1992 Reaffirmed 2003, “Indian standard, Method of determination of Electric Strength of insulating fluids”, First revision, second reprint February 1998, UDC 621.315.615.2:621.17.333.6, BIS 1992. Mehta, D.M., Kundu, P., Chowdhury, A., Lakhiani, V.K. and Jhala, A.S., “A review on critical evaluation of natural ester vis-à-vis mineral oil insulating liquid for use in transformers: Part-1”, IEEE Trans. Dielectr. Electr. Insul., 23 (2), 2016, pp. 873–880. Martin, R., “Esters–Their Structure and Their Properties”, CPRI National Conf. on environmental friendly insulating Liquids (EFIL), 2013, pp. 1-16. Rao, U. M., Sood, Y. R. and Jarial, R. K., “Performance analysis of alternate liquid dielectrics for power transformers”, IEEE Trans. Dielectr. Electr. Insul., 23 (4), 2016, pp.2475–2483. IEEE Guide for Acceptance and Maintenance of Insulating Oil in Equipment, IEEE STD. C57.106 – 2006.
Cooper Power Systems, Bulletin 00092 – Product Information – Envirotemp TM FR3TM Fluid – Description, 2001. Rao, U. M., Sood, Y. R. and Jarial, R. K., “Oxidation stability enhancement of a blend of mineral oil and synthetic ester”, IEEE Electr. Insul. Mag., 32 (2), 2016, pp. 43-47. Fluids for Electro-technical Applications - Unused Mineral Insulating Oils for Transformers and Switchgear, IEC 60296 - Edition 4.0 - 2012-02. IS: 6103: 1971 Reaffirmed 2001, “Indian standard, Method of test for specific resistance (resistivity) of electrical insulating liquids”, Fifth reprint august 1996, UDC 621.315.615:621.317.332.3, BIS 1972. Mehta, D.M., Kundu, P., Chowdhury, A., Lakhiani, V.K. and Jhala, A.S., “A review on critical evaluation of natural ester vis-à-vis mineral oil insulating liquid for use in transformers: Part 1”, IEEE Trans. Dielectr. Electr. Insul. 23 (2), 2016, pp. 873–880. IS: 1448 [P:21]: 2012 ISO 2719:2002, “Indian standard, Methods of test for petroleum and its products, Determination of flash point- Pensky- Martens closed cup method”, Third revision, ICS 75.080, BIS 2012. Moore, S. P., Wangard, W., Rapp, K. J., Woods, D. L. and Vecchio, R. M. D., “Cold Start of a 240-MVA Generator Step-Up Transformer filled with Natural Ester Fluid”, IEEE Trans. Power Del., 2014, pp. 256- 263. IS: 1448 [P:10]- 1970 Reaffirmed 2003, “Indian standard, Method of test for petroleum and its products, Cloud point and Pour point”, First revision, sixth reprint December 1998, UDC 665.6/.7:536.421.2, BIS 1971. IS: 1448 [P:2] 2007 ISO 6619:1988, “Indian standard, Methods of test for petroleum and its products, Petroleum products and lubricants- neutralization number- Potentiometric Titration Method”, Second revision, ICS 75.160.30, BIS 2007. IS 13567:1992 Reaffirmed 2003, “Indian standard, Determination of water in insulating liquids and in oil- impregnated paperand pressboard by automatic coulometric Karl Fischer titration- method of test”, UDC 621.315.615/ 621.315.64/65: 543.812, BIS 1992. IS: 335: 1993 Reaffirmed 2005, “Indian standard, New Insulating Oils- specification”, Fourth revision, third reprint September 1998, UDC 621.315.615.2, BIS 1993. Darwin, A., Perrier, C. and Folliot, P., “The use of natural ester fluids in transformers”, MatPost, III Europian Conf. on HV & MV substation equipment. Abstract: In recent days, the survivability of people around the world has increased in a higher rate. The notable reason is the impact of the evolution of new technologies in medical systems that are invented to provide and improve healthcare for peoples. But still, there are some diseases, which may be identified also can be controlled. But there isn’t any permanent solution for them such as cancer, psychiatric disorders etc. For those diseases, medical practitioners finds some way to discover medicine by analyzing the patient’s genetic information such as DNA. Microarray technology is helpful in capturing biological genetic information to computer data. Computational techniques can be applied on those large set of genetic data of every individuals with or without disease, so that the genes that are responsible for the disease occurrence can be pointed out. Differentially Expressed Genes (DEG) are identified using many techniques. Machine Learning (ML) algorithms plays a significant role in identifying the distinction between normal genes and unhealthy genes, extracted from human genome. This paper is focusing on providing an in depth overview on different techniques on ML that are used to analyze and classifies the gene expression profiles of various diseases are discussed. Keywords: Gene Expression, Healthcare Systems, Machine Learning, Microarray data, Pattern Recognition. Alshamlan, H.M., Badr, G.H. and Alohali, Y.A., 2015. Genetic Bee Colony (GBC) algorithm: A new gene selection method for microarray cancer classification. Computational biology and chemistry, 56, pp.49-60. Alzubi, R., Ramzan, N. and Alzoubi, H., 2017, August. Hybrid feature selection method for autism spectrum disorder SNPs. In Computational Intelligence in Bioinformatics and Computational Biology (CIBCB), 2017 IEEE Conference on(pp. 1-7). IEEE. Ansel, A., Rosenzweig, J.P., Zisman, P.D., Melamed, M. and Gesundheit, B., 2017. Variation in gene expression in autism spectrum disorders: an extensive review of transcriptomic studies. Frontiers in neuroscience, 10, p.601. Aragona, M. and Blanpain, C., 2017. Gene therapy: Transgenic stem cells replace skin. Nature, 551(7680), p.306. Aruna, d. And nandakishore, d., 2013. Hybrid ensemble gene selection algorithm for identifying biomarkers from breast cancer gene expression profiles. Begum, S., Chakraborty, D. and Sarkar, R., 2015, December. Cancer classification from gene expression based microarray data using SVM ensemble. In Condition Assessment Techniques in Electrical Systems (CATCON), 2015 International Conference on (pp. 13-16). IEEE. Bennet, J., Ganaprakasam, C. and Kumar, N., 2015. A Hybrid Approach for Gene Selection and Classification using Support Vector Machine. 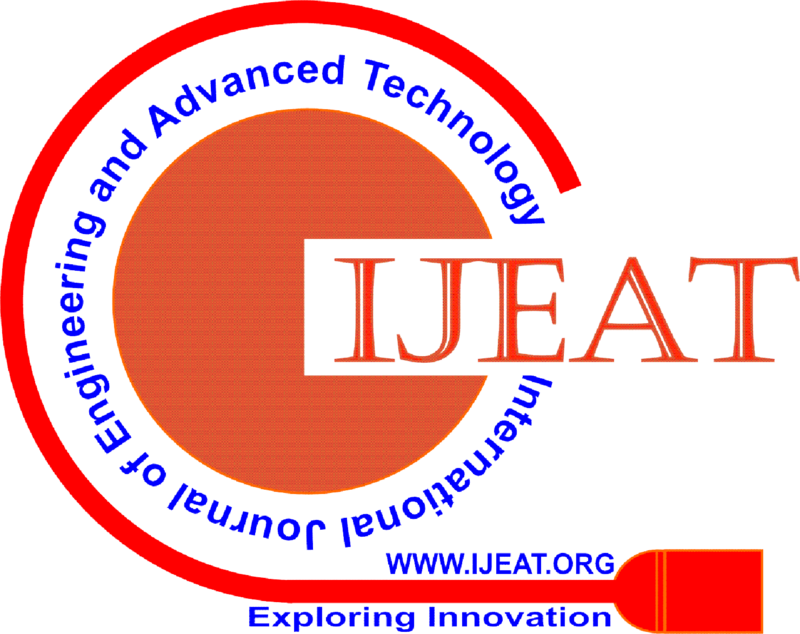 International Arab Journal of Information Technology (IAJIT), 12. Bharathi, A. and Natarajan, A.M., 2010, December. Microarray gene expression cancer diagnosis using Machine Learning algorithms. In Signal and Image Processing (ICSIP), 2010 International Conference on (pp. 275-280). IEEE. Bolón-Canedo, V., Sánchez-Marono, N., Alonso-Betanzos, A., Benítez, J.M. and Herrera, F., 2014. A review of microarray datasets and applied feature selection methods. Information Sciences, 282, pp.111-135. Bouazza, S.H., Hamdi, N., Zeroual, A. and Auhmani, K., 2015, March. Gene-expression-based cancer classification through feature selection with KNN and SVM classifiers. In Intelligent Systems and Computer Vision (ISCV), 2015 (pp. 1-6). IEEE. Brazma, A., Parkinson, H., Sarkans, U., Shojatalab, M., Vilo, J., Abeygunawardena, N., Holloway, E., Kapushesky, M., Kemmeren, P., Lara, G.G. and Oezcimen, A., 2003. ArrayExpress—a public repository for microarray gene expression data at the EBI. Nucleic acids research, 31(1), pp.68-71. Chen, H., Zhao, H., Shen, J., Zhou, R. and Zhou, Q., 2015, June. Supervised machine learning model for high dimensional gene data in colon cancer detection. In Big Data (BigData Congress), 2015 IEEE International Congress on(pp. 134-141). IEEE. Chuang, L.C. and Kuo, P.H., 2017. Building a genetic risk model for bipolar disorder from genome-wide association data with random forest algorithm. Scientific Reports, 7, p.39943. Cross, A.J., Lampe, J.W., Rock, C.L. and Boushey, C.J., 2017. Biomarkers and their use in nutrition intervention. In Nutrition in the Prevention and Treatment of Disease (Fourth Edition)(pp. 217-234). Cutler, A., Cutler, D.R. and Stevens, J.R., 2012. Random forests. In Ensemble machine learning (pp. 157-175). Springer, Boston, MA. Dashtban, M., Balafar, M. and Suravajhala, P., 2018. Gene selection for tumor classification using a novel bio-inspired multi-objective approach. Genomics, 110(1), pp.10-17. Dayan, P., Sahani, M. and Deback, G., 1999. Unsupervised learning. The MIT encyclopedia of the cognitive sciences. de Freitas, R.C.C., Bortolin, R.H., Lopes, M.B., Hirata, M.H., Hirata, R.D.C., Silbiger, V.N. and Luchessi, A.D., 2016. Integrated analysis of miRNA and mRNA gene expression microarrays: Influence on platelet reactivity, clopidogrel response and drug-induced toxicity. Gene, 593(1), pp.172-178. Dipnall, J.F., Pasco, J.A., Berk, M., Williams, L.J., Dodd, S., Jacka, F.N. and Meyer, D., 2016. Fusing data mining, machine learning and traditional statistics to detect biomarkers associated with depression. PloS one, 11(2), p.e0148195. Dong, K., Zhang, F., Zhu, W., Wang, Z. and Wang, G., 2014. Partial least squares based gene expression analysis in posttraumatic stress disorder. Eur Rev Med Pharmacol Sci, 18(16), pp.2306-2310. Edgar, R., Domrachev, M. and Lash, A.E., 2002. Gene Expression Omnibus: NCBI gene expression and hybridization array data repository. Nucleic acids research, 30(1), pp.207-210. Elyasigomari, V., Mirjafari, M.S., Screen, H.R. and Shaheed, M.H., 2015. Cancer classification using a novel gene selection approach by means of shuffling based on data clustering with optimization. Applied Soft Computing, 35, pp.43-51. Gentleman, R., Carey, V., Huber, W., Irizarry, R. and Dudoit, S. eds., 2006. Bioinformatics and computational biology solutions using R and Bioconductor. Springer Science & Business Media. Gour, D.K., Jain, Y.K. and Pandey, G.S., 2011. The Classification of Cancer Gene using Hybrid Method of Machine Learning. International Journal of Advanced Research in Computer Science, 2(2). Gunavathi, C. and Premalatha, K., 2015. Cuckoo search optimisation for feature selection in cancer classification: a new approach. International journal of data mining and bioinformatics, 13(3), pp.248-265. Hameed, S.S., Hassan, R. and Muhammad, F.F., 2017. Selection and classification of gene expression in autism disorder: Use of a combination of statistical filters and a GBPSO-SVM algorithm. PloS one, 12(11), p.e0187371. Hartigan, J.A. and Wong, M.A., 1979. Algorithm AS 136: A k-means clustering algorithm. Journal of the Royal Statistical Society. Series C (Applied Statistics), 28(1), pp.100-108. Hijazi, H. and Chan, C., 2013. A classification framework applied to cancer gene expression profiles. Journal of healthcare engineering, 4(2), pp.255-283. Hinton, G.E. and Salakhutdinov, R.R., 2006. Reducing the dimensionality of data with neural networks. science, 313(5786), pp.504-507. Hira, Z.M. and Gillies, D.F., 2015. A review of feature selection and feature extraction methods applied on microarray data. Advances in bioinformatics, 2015. Hu, H.P., Niu, Z.J., Bai, Y.P. and Tan, X.H., 2015. Cancer classification based on gene expression using neural networks. Genetics and Molecular Research, 14(4), pp.17605-17611. Huynh, P.H., Nguyen, V.H. and Do, T.N., 2018. A Coupling Support Vector Machines with the Feature Learning of Deep Convolutional Neural Networks for Classifying Microarray Gene Expression Data. In Modern Approaches for Intelligent Information and Database Systems (pp. 233-243). Springer, Cham. Jain, A.K., Mao, J. and Mohiuddin, K.M., 1996. Artificial neural networks: A tutorial. Computer, 29(3), pp.31-44. Kalaiselvi, N. and Inbarani, H.H., 2013. Fuzzy soft set based classification for gene expression data. arXiv preprint arXiv:1301.1502. Kar, S., Sharma, K.D. and Maitra, M., 2015. Gene selection from microarray gene expression data for classification of cancer subgroups employing PSO and adaptive K-nearest neighborhood technique. Expert Systems with Applications, 42(1), pp.612-627. Karabulut, E.M. and Ibrikci, T., 2017. Discriminative deep belief networks for microarray based cancer classification. Biomedical Research, 28(3). Karthik, S., Perumal, R.S. and Mouli, P.C., 2018. Breast Cancer Classification Using Deep Neural Networks. In Knowledge Computing and Its Applications (pp. 227-241). Springer, Singapore. Kelleher, J.D., Mac Namee, B. and D'Arcy, A., 2015. Fundamentals of machine learning for predictive data analytics: algorithms, worked examples, and case studies. MIT Press. King, B.F., 2018. Artificial Intelligence and Radiology: What Will the Future Hold?. Journal of the American College of Radiology. Kotsiantis, S.B., Zaharakis, I. and Pintelas, P., 2007. Supervised machine learning: A review of classification techniques. Emerging artificial intelligence applications in computer engineering, 160, pp.3-24. KR, S., 2011. Microarray data classification using support vector machine. International Journal of Biometrics and Bioinformatics (IJBB), 5(1), p.10. Kumar, G. and Bhatia, P.K., 2014, February. A detailed review of feature extraction in image processing systems. In Advanced Computing & Communication Technologies (ACCT), 2014 Fourth International Conference on (pp. 5-12). IEEE. Leska, V., Bei, E.S., Petrakis, E. and Zervakis, M., 2016. Gene Expression Data Analysis for Classification of Bipolar Disorders. In XIV Mediterranean Conference on Medical and Biological Engineering and Computing 2016 (pp. 500-506). Springer, Cham. Littman, M.L., 2015. Reinforcement learning improves behaviour from evaluative feedback. Nature, 521(7553), p.445. Liu, Y.X., Zhang, N.N., He, Y. and Lun, L.J., 2015. Prediction of core cancer genes using a hybrid of feature selection and machine learning methods. Genetics and Molecular Research, 14(3), pp.8871-8882. Loganathan, C. and Girija, K.V., Investigations on Hybrid Learning in Anfis in Microarray Gene Expression Classification. Logotheti, M., Pilalis, E., Venizelos, N., Kolisis, F. and Chatziioannou, A., 2016. Studying Microarray Gene Expression Data of Schizophrenic Patients for Derivation of a Diagnostic Signature through the Aid of Machine Learning. Biom Biostat Int J, 4(5), p.00106. Mehridehnavi A, Ziaei L. Minimal gene selection for classification and diagnosis prediction based on gene expression profile. Advanced Biomedical Research. 2013;2:26. doi:10.4103/2277-9175.107999. Montgomery, D.C., Peck, E.A. and Vining, G.G., 2012. Introduction to linear regression analysis (Vol. 821). John Wiley & Sons. Motieghader, H., Najafi, A., Sadeghi, B. and Masoudi-Nejad, A., 2017. A hybrid gene selection algorithm for microarray cancer classification using genetic algorithm and learning automata. Informatics in Medicine Unlocked, 9, pp.246-254. Nath, A., Kumari, P. and Chaube, R., 2018. Prediction of Human Drug Targets and Their Interactions Using Machine Learning Methods: Current and Future Perspectives. In Computational Drug Discovery and Design (pp. 21-30). Humana Press, New York, NY. Nie, Y., Chen, V., Shannon, C.P., Andiappan, A.K., Lee, B., Rotzschke, O., Castaldi, P.J., Hersh, C.P., Fishbane, N., Ng, R.T. and McManus, B., 2017. Network-based analysis reveals novel gene signatures in peripheral blood of patients with chronic obstructive pulmonary disease. Respiratory research, 18(1), p.72. Nilashi, M., bin Ibrahim, O., Ithnin, N. and Sarmin, N.H., 2015. A multi-criteria collaborative filtering recommender system for the tourism domain using Expectation Maximization (EM) and PCA–ANFIS. Electronic Commerce Research and Applications, 14(6), pp.542-562. Oh, D.H., Kim, I.B., Kim, S.H. and Ahn, D.H., 2017. Predicting Autism Spectrum Disorder Using Blood-based Gene Expression Signatures and Machine Learning. Clinical Psychopharmacology and Neuroscience, 15(1), p.47. Piao, Y., Piao, M., Park, K. and Ryu, K.H., 2012. An ensemble correlation-based gene selection algorithm for cancer classification with gene expression data. Bioinformatics, 28(24), pp.3306-3315. Quinlan, J.R., 1986. Induction of decision trees. Machine learning, 1(1), pp.81-106. Rajeswari, P. and Reena, G.S., 2011. Human liver cancer classification using microarray gene expression data. International Journal of Computer Applications, 34(6), pp.25-37. Ram, M., Najafi, A. and Shakeri, M.T., 2017. Classification and Biomarker Genes Selection for Cancer Gene Expression Data Using Random Forest. Iranian Journal of Pathology, 12(4), pp.339-347. Reich, M., Liefeld, T., Gould, J., Lerner, J., Tamayo, P. and Mesirov, J.P., 2006. GenePattern 2.0. Nature genetics, 38(5), p.500. Ruiz, R., Riquelme, J.C. and Aguilar-Ruiz, J.S., 2006. Incremental wrapper-based gene selection from microarray data for cancer classification. Pattern Recognition, 39(12), pp.2383-2392. Salem, H., Attiya, G. and El-Fishawy, N., 2017. Classification of human cancer diseases by gene expression profiles. Applied Soft Computing, 50, pp.124-134. Saylan, C.C. and Yılancıoğlu, K., 2016. Classification of Schizophrenia and Bipolar Disorder by Using Machine Learning Algorithms. The Journal of Neurobehavioral Sciences, 3(3), pp.92-95. Simon, R., Lam, A., Li, M.C., Ngan, M., Menenzes, S. and Zhao, Y., 2007. Analysis of gene expression data using BRB-array tools. Cancer informatics, 3, p.117693510700300022. Smoot, M.E., Ono, K., Ruscheinski, J., Wang, P.L. and Ideker, T., 2010. Cytoscape 2.8: new features for data integration and network visualization. Bioinformatics, 27(3), pp.431-432. Soe, H.J., Yong, Y.K., Al-Obaidi, M.M.J., Raju, C.S., Gudimella, R., Manikam, R. and Sekaran, S.D., 2018. Identifying protein biomarkers in predicting disease severity of dengue virus infection using immune-related protein microarray. Medicine, 97(5). Song, N., Wang, K., Xu, M., Xie, X., Chen, G. and Wang, Y., 2015. Design and analysis of ensemble classifier for gene expression data of cancer. Journal of Clinical & Medical Genomics, pp.1-7. Tajari, H. and Beigy, H., 2012. Gene Expression Based Classification using Iterative Transductive Support Vector Machine. International Journal of Machine Learning and Computing, 2(1), p.76. Tarek, S., Elwahab, R.A. and Shoman, M., 2017. Gene expression based cancer classification. Egyptian Informatics Journal, 18(3), pp.151-159. Tomasetti, C., Li, L. and Vogelstein, B., 2017. Stem cell divisions, somatic mutations, cancer etiology, and cancer prevention. Science, 355(6331), pp.1330-1334. Vanitha, C.D.A., Devaraj, D. and Venkatesulu, M., 2015. Gene expression data classification using support vector machine and mutual information-based gene selection. procedia computer science, 47, pp.13-21. Van't Veer, L.J. and Bernards, R., 2008. Enabling personalized cancer medicine through analysis of gene-expression patterns. Nature, 452(7187), p.564. Vergara, J.R. and Estévez, P.A., 2014. A review of feature selection methods based on mutual information. Neural computing and applications, 24(1), pp.175-186. Ware, B.R., McVay, M., Sunada, W.Y. and Khetani, S.R., 2017. Exploring chronic drug effects on microengineered human liver cultures using global gene expression profiling. Toxicological Sciences, 157(2), pp.387-398. Weinstein, J.N., Collisson, E.A., Mills, G.B., Shaw, K.R.M., Ozenberger, B.A., Ellrott, K., Shmulevich, I., Sander, C., Stuart, J.M. and Cancer Genome Atlas Research Network, 2013. The cancer genome atlas pan-cancer analysis project. Nature genetics, 45(10), p.1113. Yilancioglu, K. and Konuk, M., 2015. Classification of Schizophrenia Patients by Using Genomic Data: A Data Mining Approach. The Journal of Neurobehavioral Sciences, 2(3), pp.102-104. Zhang, H., Xie, Z., Yang, Y., Zhao, Y., Zhang, B. and Fang, J., 2017. The correlation-base-selection algorithm for diagnostic schizophrenia based on blood-based gene expression signatures. BioMed research international, 2017. Zhang, L., Yang, T., Yi, J., Jin, R. and Zhou, Z.H., 2016, February. Stochastic Optimization for Kernel PCA. In AAAI(pp. 2315-2322). Zhao, G. and Wu, Y., 2016. Feature subset selection for cancer classification using weight local modularity. Scientific reports, 6, p.34759. Zhong, W., 2014. Feature selection for cancer classification using microarray gene expression data (Doctoral dissertation, University of Calgary). Thermoacoustic engines, J Acoust Soc Am 84(4) (1988) 1145-1180. Kasthurirengan, S; Behera, Upendra; Gangradey, Ranjana; Udgata, Swarup; Krishnamoorthy, V. “Studies of cryocooler based cryosorption pump with activated carbon panels operating at 11K” Journal of Physics: Conference Series vol. 390 issue 1 November 05, 2012. p. 012068-012068. Abstract: Reliable and quick communication is of prime importance in VANETs. Introducing clustering technique will ensure a robust data exchange in VANET. The emphasis on this work is to select the reliable cluster that make an appreciable communication in VANET with in a fixed time and cost. Hence this work considers the Cluster Head (CH) selection using Bully algorithm and Lamport time stamp. Furthermore, the traffic in the network is modelled using Weighted Universal Generating Function Technique (WUGFT). This will diminish the computation burden in reliability calculation. Reliability of VANET is defined as the probability of a successful delivery of data from source to destination. Reliability ratio has been considered to identify the efficient reliable cluster. A Simulation is carried out in NS – 2 with respect to delay, packet delivery ratio, and throughput and packet drop ratio. Simulation results indicate that our proposed method produces optimal results on the defined parameters. Ahammed, F, Taheri, J & Zomaya, A 2011, ‘LICA: robust localization using cluster analysis to improve GPS coordinates’, In: First ACM International Symposium on Design and Analysis of Intelligent Vehicular Networks and Applications, pp. 39–46. Bali, RS, Kumar, N, & Rodrigues, JPC 2014, ‘Clustering in vehicular ad hoc networks: Taxonomy, challenges and solutions’, Vehicular Communications, vol. 1, no. 3, pp. 134-152. Fan, W, Shi,Y, Chen, S & Zou, L 2011, ‘A mobility metric based dynamic clustering algorithm (DCA) for VANETs’, In: International Conference on Communication Technology and Application, Beijing, pp. 752–756. Jin-Jia Chang, Yi-HuaLi, WanjiunLiao& Ing-chauchang, 2012, ‘Intersection based routing for urban vehicular communications with traffic light considerations’, IEEE wireless Communications, vol. 19, no. 1, pp. 82-88. Paramodh Kavisha Dharmawardena and Zhanjie Wang,“Cluster head selection based routing protocol for VANET bully algorithm and Lamport timestamp’,International Journal of Computer Theory and Engineering, Vol. 9, No. 3, June 2017, pp.219-24. Meena KS Vasanthi T’ 2015, ‘ Reliability Design for a MANET with Cluster Head Gateway Routing Protocol’, Communication in Statistics-Theory and Methods 2015;45(13):3094-3918. DOI: 1080/03610926.2014.911908. Meena, KS & Vasanthi, T 2015, 'The Performance Assessment of a MANET using WUGF', Research Journal of Applied Sciences, Engineering and Technology, vol. 10, no.8 , pp. 942-950. Meena KS Vasanthi T. Reliability Analysis of Mobile Adhoc Networks using Universal Generating Function Quality and Reliability Engineering International 2016; 32(1):111-122. Meena KS Vasanthi T Uma Maheswari P Rajeswari M Reliability Analysis of MANET with RCFP: Reliable Cluster Forming Protocol. International Journal of Applied Engineering Research 2016; 11(1): 440-447. Meena KS Bhargava EN Vasanthi Reliable Cluster Forming Protocol in VANET.World Journal of Engineering research and Technology 2017; 3(3):390-321. DOI: 10.1080/03610926.2014.911908. Rajeswari M Uma Maheswari Assessing the Reliability of Adhoc Network using UGF: Probabilistic approach. Asian Journal of Information Technology 2016; 15(3):563-566. Rajeswari M Siva Mani C Meena KS. A noval approach to the performability of VANET: VBRCP with UGFT. journal of Web Engineering Technology 2018 Accepted Manuscript. Santos, RA, Edwards, RM, & Seed, NL 2003,‘Inter vehicular data exchange between fast moving road raffic using an ad-hoc clusterbased location routing algorithm and 802.11b direct sequence spread spectrum radio’, In: Post Graduate Networking Conference. Tian, D, Wang, Y, Lu, G, Yu,G 2010, ‘A VANETs routing algorithm based on Euclidean distance clustering’, In: 2nd IEEE International Conference on Future Computer and Communication, Wuhan, pp.V1183–V1-187. Uma Maheswari P Rajeswari M Meena KS Vasanthi T. Reliability calculation of VANET with RSU using UGFT. 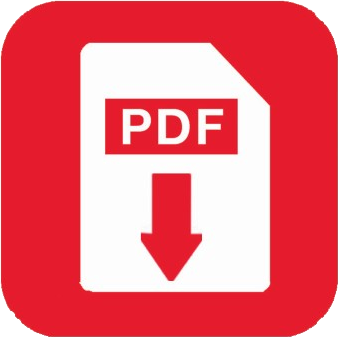 International Journal of Advance Foundation and Research in Computer 2015; 2(12):7-17. Zhengming li, Congyiliu&Chunxiaochigan 2013, ‘On Secure VANET Based Ad Dissemination with Pragmatic Cost and Effect Control’, IEEE transactions on intelligent transportation systems. Ziahmoud Hashem Eiza& Qiang Ni 2013, ‘An Evolving Graph-Based Reliable Routing Scheme for VANETs’, IEEE Transactions on Vehicular Technology, vol. 62, no. 5, pp. 1493-1504. Abstract: A Proportional-Integral-Derivative (PID) controller make its appearance in various control mechanism due to its adaptively, applicability and simple structure. The tuning for parameters KP, KD and KI selection for PID is a tedious task. A Particle-Swarm-Optimization (PSO) algorithm is an evolutionary method that simulates the particles to provide best solutions in a given search-space based on fitness value. It provides another design of optimization for PID controller that provides better gain parameters, fast convergence and quick computation, in this paper, an efficient designed PSO based PID controller is then synthesized with the help of Xilinx SYSGEN. To evaluate the effectiveness and usefulness of PSO the DC motor based system response is figured and compared it with conventional method. Rajeshkanna, "Modern Speed Control of Separately Excited Dc Motor by Boost Converter Fed Field Control Method," In International Conference on Computer Communication and Informatics (ICCCI -2013), Coimbatore, India, 2013. Vijay and V.K. Garge, "A Comparative Study On Speed Control Of D.C. Motor Using Intelligence Techniques," International Journal Of Electronic And Electrical Engineering, Vol. Volume 7, No. Number 4, Pp. 431-436, 2014. Yucelen, O. Kaymakci, S. Kurtulan, "Self-Tuning PID Controller Using Ziegler-Nichols Method For Programmable Logic Controllers," In IFAC Proceeding Volumes, 2006. Kundariya And J. Ohri, "Design Of Intelligent PID Controller Using Particle Swarm," International Journal Of Scientific & Engineering Research, Vol. 4, No. 7, July 2013. Banerjee and A. Sinha, "Performance Analysis of Diﬀerent DSP Algorithms on Advanced Microcontroller and FPGA," In IEEE International Conference, ACTEA, 2009. K. Guman, V. K. Giri, "Speed Control Of Dc Motor Using Optimization Techniques Based PID Controller," In 2nd IEEE International Conference On Engineering And Technology (ICETECH), Coimbatore India, March 2016. H. Al-Mter and S. Lu, "A Particle Swarm Optimization Algorithm Based On Uniform Design," International Journal of Data Mining & Knowledge Management Process (IJDKP), Vol. 6, No. 2, March 2016. Geramipour, Arezou, M. Khazaei, A. Marjaninejad, and M. Khazaei., "Design Of FPGA-Based Digital PID Controller Using Xilinx SYSGEN For Regulating Blood Glucose Level Of Type-I Diabetic Patients," International Journal Of Mechatronics, Electrical And Computer Technology, Vol. 3, No. 7, Pp. 56-69, April 2013. L. Harijan, M. F. Shaikh, B. A. Arain, T. D. Memon And I. H. Kalwar, "FPGA Based Synthesize Of PSO Algorithm And Its Area-Performance Analysis," International Journal Of Advanced Computer Science And Applications (IJACSA), Vol. 9, No. 6, 2018. Ciganek, M. Kocur And S. Kozak, "Hardware Realization Of Advanced Controller Design Methods Using FPGA," IFAC-Papers Online, Volume, Vol. 49, No. 5, Pp. 163-168, 2016. Eberhart and J. Kennedy, "Particle Swarm Optimization," Proceedings of the IEEE Int. Conf. on Neural Networks, Vol. 4, P. 1942–1948, 1995. Tim, "Fitness Estimation and the Particle Swarm Optimization Algorithm," In IEEE Congress on Evolutionary Computation, 2007. Abstract: As a next generation signal processing method, Visible Light Communication (VLC) is developing for low distance signal processing applications. Two archetype wireless audio data processing techniques are execute and describe using VLC. For stream and process data, software design is urbanized and it is linked with a hardware element, by encouraging free-space VLC canal, over a Universal Serial Bus (USB) to serial interface. An especially appealing element of our framework is that it utilizes generally accessible, minimal effort elements by empowering its execution in ordinary purposes. The scheme incorporates both transmission and reception section. The transmission section comprises of voice playback with a system contribution from which the voice is transmitted by means of lift transmission and the voice gets got in a lift reception and opened up in audio amplifier. Keywords: Visible Light Communication, LED, LCD, Wi-Fi and Li-Fi. Ramprabu G, Saranya J & Swathi R, (2017) “Stereo Audio Streaming using Li-Fi Technology”, International Journal of Computer Application, Vol.7(2), pp.44-48. Kulkarani Shivaji, Amogh Darekar Pavan Joshi Amogh, (2016) “A Survey on Li-Fi Technology”, IEEE International Conference on WiSPNET. Saini Sunita, Sharma Yogesh Kumar, (2016) “Li-Fi the most recent innovation in Wireless Communication”, International Journal of Advanced Research in Computer Science and Software Engineering, Vol.6(2), pp. 347-351. Karthika R, Balakrishnan S, (2015) “Wireless Communication using Li-Fi Technology”, SSRG International Journal of Electronics and Communication Engineering, Vol.2(3), pp.32-40. Sarkar Anurag, Agarwal Shalabh, Nath Asoke, (2015) “Li-Fi Technology: Data Transmission through Visible Light”, International Journal of Advance Research in Computer Science and Management Studies, Vol.3 (6), pp. 1-10. Singh Jitender, Vikash, (2014) “A New Era in Wireless Technology using light fidelity”, International Journal of Recent Development in Engineering and Technology, Vol.2 (6), pp-46-49. C Briand, J. Daly, and J, Wüst., A unified framework for coupling measurement in object oriented systems, IEEE Transactions on Software Engineering, 25, 1, January 1999, pp. 91-121. I .Maletic, M.L, Collard, and A, Marcus, Source Code Files as Structured Documents, in Proceedings 10th IEEE International Workshop on Program Comprehension (IWPC'02), Paris, France, June 27-29 2002, pp. 289-292. A, Dupot, A, Hydrocarbure urbaine (Paris : EYROLLES, 1986). Bouchonnet, La spectrométrie de masse en couplage avec la chromatographie en phase gazeuse, (Paris : TEC& DOC, 2009). Bocard, marées noires et sols pollués par des hydrocarbures enjeux environnementaux et traitement des pollutions, (Paris, France: technip, 2006). A, Hertig, J.-A, Etudes d'impact sur l'environnement (éd. 2ème, Vol. 23), (Lausane: Presse polytechnique universitaire romandes, 2006). Lemiere, J.Seguin, C.Le Guern, D. Guyonnet, D.Barnger, C. Le Guern, D. Guyonnet, P. Baranger, & A, Saada, Guide sur le comportement des polluants dans les sols et les nappes, (BRGM, Éd, Orleans Cedex, 2001), in ( http://infoterre.brgm.fr/rapports/RP-50662-FR.pdf), Consulté le 03/02/2015. Musy, Une ville verte : Les rôles du végétal en ville, (Amazon France: Quae, 2014). NOWAK, & S.Van Der Ham, Rapport d'expertise: Contamination des eaux souterraines par des hydrocarbures à proximité du site SMCA de PARAY VIEILLE POSTE, (Paray Vieille Poste Essone: Brgm, 2010). Maruthachalam D., Sugunadevi M., Sowmiya A. B., Sushmithaa P.
Abstract: This project provides a detailed study on the repair and strengthening of beams made up of concrete by Carbon Fiber Reinforced Polymer [CFRP] sheets. Mostly, structures fail due to the steel corrosion in the concrete. Corrosion remains primarily owing to the chloride ion intrusion in aggressive environment. The defected concrete will affect the strength of the structures. They can be treated with CFRP sheets so that the strength of the structure could be improved to withstand the design loads. The defects of the structures include - spalling of concrete, cracking, honey- combing etc., resulting in the reduction of strength. To strengthen the defected structure, we have implemented an idea of wrapping the corroded concrete with CFRP sheets. Reinforced concrete prisms will be casted and they will be grouped under four categories. First category of specimens will be kept as control specimens and another two groups of concrete specimen will be subjected to accelerated corrosion initiation test. The range of corrosion will be monitored through Half Cell Potential Mapping, after the crack formation on the surface of the specimens. Third group of prisms will be treated with CFRP sheets in one, two and three layers of the sheets. The last set of prisms will be treated with the CFRP sheets in one, two and three layers of the sheets without giving any chloride intrusion. Finally, the comparative study will be made on the strengths of all the three category specimens. We have selected M30 concrete grade and OPC53 grade of cement. All values are based upon IS 456:2000 and IS 10262:2009. Kasimzade A. A. and Tuhta S., Analytical, Numerical and Experimental Examination of Reinforced Composites Beams Covered with Carbon Fiber Reinforced Plastic, Journal of Theoretical and Applied Mechanics, Sofia, 42(1), 2012, 55–70. ACI Committee 440, ACI 440.2R-08. Guide for the design and construction of externally bonded FRP systems for strengthening concrete structure, 38800 Country Club Dr., Farmington Hills, MI 48331-3439, USA. American Concrete Institute, 2008. Ahmed Shaban Abdel-Hay, Partial Strengthening of R.C Square Columns using CFRP, HBRC Journal, 10, 279–286, 2014. Aitcin P.C., The durability characteristics of high performance concrete: a review, Cement & Concrete Composites, 25, 409–420, 2003. Andrade C, Alonso C, On-site measurements of corrosion rate of reinforcements, Construction and Building Materials, 15, 141-145, 2001. Antonio Bossio, Tullio Monetta, Francesco Bellucci, Gian Piero Lignola, Andrea Protaio Bossio, Modeling of Concrete Cracking due to Corrosion Process of Reinforcement Bars, Cement and Concrete Research, 71, 78–92, 2015. ASTM C876, Standard Test Method for Corrosion Potentials of Uncoated Reinforcing Steel in Concrete, West Conshohocken, United States; American Society for Testing & Materials, 2009. Dias S.J.E., Barros J.A.O., NSM Shear Strengthening Technique with CFRP Laminates Applied in High-Strength Concrete Beams with or without Pre-Cracking, Composites: Part B 43, 290–301, 2012. Hawileh R.A., Nawaz W., Abdalla J.A., Saqan E.I., Effect of Flexural CFRP Sheets on Shear Resistance of Reinforced Concrete Beams, Composite Structures, 122, 468–476, 2015. Hui Yu, Xianming Shi, William H. Hartt, Baotong Lu, Laboratory investigation of reinforcement corrosion initiation and chloride threshold content for self-compacting concrete, Cement and Concrete Research, 40, 1507–1516, 2010. IS: 10262 – 2009, Concrete Mix Proportioning – Guidelines, Manak Bhavan, New Delhi 110002. Bureau of Indian Standards. IS: 456 – 2000, Plain and Reinforced Concrete Code of Practice, Manak Bhavan, New Delhi 110002. Bureau of Indian Standards. IS: 516 – 1959 (Reaffirmed 2004), Methods of Tests for Strength of Concrete, Manak Bhavan, New Delhi 110002. Bureau of Indian Standards. John P. Broomfield, Kevin Davies, Karel Hladky, The use of permanent corrosion monitoring in new and existing reinforced concrete structures, Cement & Concrete Composites, 24, 27–34, 2002. Kesavan K., Ravisankar K., Senthil R., Farvaze Ahmed A.K., Experimental Studies on Performance of Reinforced Concrete Beam Strengthened with CFRP under Cyclic Loading using FBG Array, Measurement, 46, 3855–3862, 2013. Massimiliano Bocciarelli, Christian di Feo, Nicola Nisticò, Marco Andrea Pisani, Carlo Poggi, (2013), Failure of RC Beams Strengthened in Bending with Unconventionally Arranged CFRP Laminates, Composites: Part B 54, 246–254, 2013. Mohamed H. Mahmoud, Hamdy M. Afefy, Nesreen M. Kassem, Tarek M. Fawzy, Strengthening of Defected Beam–Column Joints using CFRP, Journal of Advanced Research, 5, 67–77, 2014. Mohammad Ismail, Bala Muhammad, Mohamed El Gelany Ismail, Compressive strength loss and reinforcement degradations of reinforced concrete structure due to long-term exposure, Construction and Building Materials, 24, 898–902, 2010. Murad M. Bhunga, Dr. N. K. Arora, Comparative Study of ER-FRP Laminated Beam Design with ACI-440-2r-08 and IS Method, International Journal of Advanced Engineering Technology, E-ISSN 0976-3945, 2012. Muralidharan S, Saraswathy V., Madhavamayandi A, Thangavel K, Palaniswamy N, Evaluation of embeddable potential sensor for corrosion monitoring in concrete structures, Electrochimica Acta, 53,7248–7254, 2008. Muthulingam S., Rao B.N., Non-uniform Corrosion States of Rebar in Concrete under Chloride Environment, Corrosion Science, 93, 267–282, 2015. Norazman Mohamad Nor, Mohd Hanif Ahmad Boestamam, Mohammed Alias Yusof, Carbon Fiber Reinforced Polymer (CFRP) as Reinforcement for Concrete Beam, International Journal of Emerging Technology and Advanced Engineering, 3(2), 2013. Oral Buyukozturk, Oguz Gunes, Erdem Karaca, Progress on understanding debonding problems in reinforced concrete and steel members strengthened using FRP composites, Construction and Building Materials, 18, 9–19, 2004. Priyanka Sarker, Mahbuba Begum and Sabreena Nasrin, Fiber reinforced polymers for structural retrofitting: A review, Journal of Civil Engineering (IEB), 39 (1), 49-57, 2011. Ratan Kharatmol, Pankaj Sananse, Rohit Tambe, Ms.Raksha J.Khare, (2014), Strengthening of Beams Using Carbon Fibre Reinforced Polymer International Journal of Emerging Engineering Research and Technology, 2(3), 119-125, 2014. Shamsad Ahmad, Reinforcement corrosion in concrete structures, its monitoring and service life prediction––a review, Cement & Concrete Composites, 25, 459–471, 2003. Szweda Zofiaa, Zybura Adam, Theoretical Model and Experimental Tests on Chloride Diffusion and Migration Processes in Concrete, Sciverse Science Direct, Procedia Engineering, 57 1121 – 1130, 2013. Tara Sen, H.N. Jagannatha Reddy, Strengthening of RC Beams in Flexure using Natural Jute Fibre Textile Reinforced Composite System and its Comparative Study with CFRP and GFRP Strengthening Systems, International Journal of Sustainable Built Environment 2, 41–55, 2013. Van der Zanden A.J.J., Taher A., Arends T., (2015), Modelling of Water and Chloride Transport in Concrete during Yearly Wetting/Drying Cycles, Construction and Building Materials, 81, 120–129, 2015. Wonga H.S, Zhao Y.X, Karimi A.R, Buenfeld N.R, Jin W.L., On the penetration of corrosion products from reinforcing steel into concrete due to chloride-induced corrosion, Corrosion Science 52, 2469–2480, 2010. Xianming Shi, Ning Xie, Keith Fortune, Jing Gong, Durability of steel reinforced concrete in chloride environments: An overview, Construction and Building Materials, 30, 125–138, 2012. Yinzhi Zhou, Hualin Fan, Kebin Jiang, Mingkang Gou, Ning Li, Pengcheng Zhu, Yiqiang Tu, Experimental Flexural Behaviors of CFRP Strengthened Aluminum Beams, Composite Structures, 116, 761–771, 2014. Abstract: The world is suffering from an eminent water crisis. Safe and pure drinking water is the necessity and right of everyone. The use of reverse osmosis-based water treatment plants has become a common method for providing clean water in many areas as the global demand for water increases. Automation and monitoring is an important task for such plants at remote distance. A system is needed to prevent difficulties when one needs to control and monitor important parameters such as Total Dissolved Solids (TDS), Water Level, Flow rate manually. Manually operated RO plants have failed due to lack of proper monitoring and maintenance. Designed system in this article is equipped with Arduino microcontroller which controls the operation of system, water level sensors for water level monitoring in particular tank, water flow sensors to measure the flow rate of water during run, pH sensor for product water quality monitoring and a wireless connectivity module, which is used to establish communication between user/operator and the RO system at remote areas. The system not only allows user to monitor the important parameters of RO plant which influence the performance, but also allow to control the plant at remote distance. The system gives the measurement report upon a request message and also alerts the user automatically if any critical situation occurs at plant site. The system can be placed at any location where GSM based wireless connectivity is available and can be controlled from a single location. Keywords: Reverse Osmosis, Water quality, Remote Monitoring, Wireless GSM Control. M. Torky, I. Elamvazuthi, and N. H. Hanif, “PC based SCADA System for Reverse Osmosis Desalination Plants,” IEEE Student Conference on Research and Development, November 2009, Malaysia. Abdulrazaqa Jassim, N. Abdulrazaq, and A. S. Kahdim, “Automation of Reverse Osmosis,” Seventh International Water Technology Conference, April 2003, Egypt. Gowri Shankar, R. Nadhiya, A. P. Priya, and R. Selvi, “Automation for Industrial Reverse Osmosis System Using SCADA Controller,” International Journal of Advanced Research in Electrical, Electronics and Instrumentation Engineering, Vol. 5, No. 1, March 2016, India. Saraswati, E. Kuantama, and P. Mardjoko, “Design and Constructionof Water Level Measurement System Accessible through SMS”, Sixth UKSim/AMSS European Symposium on Computer Modeling and Simulation, November 2012 Malta. Zilouchian, and M. Jafar, “Automation and Process Control of Reverse Osmosis Plants using Soft Computing Methodologies,” International Conference on Seawater Desalination Technologies on the Threshold of the New Millennium, November 2000, Kuwait. S. Prajapati, and A. G. Patel, “PLC & SCADA Based Automation of Industrial Reverse Osmosis Desalination Plants,” International Journal of Engineering Research & Technology, Vol. 3, No. 3, March 2014. Raj Shah, Aditya Vadalkar, Omkar Bengrut, and M.P.Sardey, “Automation of Water Treatment Plant,” International Journal for Technological Research In Engineering, Vol. 1, No. 8, April-2014. Faras Ghani, ‘Tharparkar: Pakistan's ongoing catastrophe’, 2016. [Online]. Available: https://www.aljazeera.com/indepth/features/2016/06/tharparkar-pakistans-ongoing-catastrophe 160629111410198.html. Hanif Samoon, ‘Several RO plants found 'out of order' in Tharparkar’, 2015. [Online]. Available: https://www.dawn.com/news/1223762. Sofia Khaliq Alvi, Uzma Asghar, Madhia Parve, and Faroque Ahmed Khan, “Ground Water Quality of District Tharparkar, Sindh, Pakistan,” Center of Environment Studies, PCSIR Laboratories Complex Karachi, Vol. 30, No 3, 2008, Pakistan. S. Dil, Ishtiaq A. Qazi, M. A. Baig, E. A. Khan, and A. Tahir, “National Standards for Drinking Water Quality,” Pakistan Environmental Protection Agency, June, 2008. Rhowel Dellosa, J. Edward Hernandez, Richard Mangay, and Rockie Robles, “Microcontroller Based Wastewater Management System,” International Journal of Scientific and Technology Research, Vol. 3, No. 10, October 2014. Abstract: Gas turbine shows great inverse effect on ambient air temperature. The efficiency and net power output of the gas turbine increases with decrease in ambient air temperature. Nigeria with an average ambient air temperature of 31°C tends to experience a drop in gas turbine efficiency and net power output. It has been proven that by employing wetted evaporative media cooler to the inlet of the compressor, the gas turbine plant performance can be maximized; this employed devise reduces the inlet temperature. An open cycle gas turbine Frame 9E in Ihovbor power plant Benin Edo State, Nigeria generating electricity at a capacity of 450MW was used as a retrofitted study for the research by using Aspen HYSY V9 simulation one software model. The results, from plots of graphs, when interpreted, depicts a direct proportionality between ambient air temperature and compressor work; an inverse proportionality between ambient air temperature and net power output of the turbine; a direct proportionality between ambient air temperature and specific fuel consumption; an inverse proportionality between ambient air temperature and plant efficiency. The numerical value for the drop in ambient air temperature consequent upon the use of evaporative cooler is 11.250C. Since the gas turbine is a thermal engine, its inlet temperature – ambient temperature – has significant effect on the aforementioned parameters; so that, results from the study, shows; the evaporative cooler results in a drop in ambient temperature of 11.25°C, showing an increase of about 3.7% efficiency and 11.56MW net power output of the turbine. Drop in specific fuel consumption is 0.024kg/KWh. From the research, it is deduced that gas turbine plants perform better in temperate regions than tropical regions. Therefore, to maximize the performance of a gas turbine plants in high temperature climates, retrofitting it with an air cooler will lower the temperature to a value close to the design temperature before compression takes place and it will tend to improve gas turbine performance in tropical country like Nigeria. Alhazmy M.M., and Najjar Y.S.H. (2004). Increase in the performance of the gas turbine using air. Coolers of Applied Thermal Engineering, 24, pp.415-429. Shi X., Agnew B., Che D. and Gao J. (2010). Improvement of the performance of conventional combinations. Energy plant cycle by inlet air cooling, partial cooling and cold energy utilization of LNG, Applied thermal engineering 30, pp.2003-2010.